The Junior Eurovision Song Contest is the kids version of the most popular music event in Europe - Eurovision Song Contest. Originally it was the competition for children between the ages of 8 and 15, however since 2007 the age limit has been narrowed and presently only children aged 10 to 15 (inclusive) on the day of the contest final are allowed to participate. The purpose of the contest is to promote young talent in the field of popular music by encouraging international competition among child artists. JESC is produced by the European Broadcasting Union (EBU) who also produce the Eurovision Song and Eurovision Dance Contests. Thus member broadcasters of the EBU may take part in the contest. The contest was first launched in 2003 after a success of Scandinavian contest in 2002, titled MGP Nordic, where Denmark, Norway and Sweden took part. EBU has liked the idea and launched international competition. However, in 2006 main Scandinavian broadcasters have left JESC going back to organization of separate MGP Nordic, which however was closed in 2010. - Winning country is not given right to automatically host next edition of JESC as it happens in ESC. The hosting country for next year is selected before the current edition to avoid extra pressure on kids. Up till 2009 the decision was usually made in spring-autumn of the previous year, however, in 2011 and 2013 it has been delayed till January. - Maximum of 18 countries are allowed to take part in the JESC, while currently up to 45 countries are allowed to take part in ESC. - In JESC each artist representing his country must be selected from the National Selection with televoting (exclusions are allowed with the special permit from Steering Group, for example Armenia 2007, Sweden 2009, Sweden and Latvia 2010 etc), while in ESC selection method so far has been free on choice of the broadcasters. The change of the song or replacement of the singer after national selection is not allowed in JESC. It is recomended to organize national selections within 3 monthes prior to the contest. - The rule stating that children-performers also must not have previously released music commercially was active from 2003 to 2006 and was dropped in 2007 thus allowing already experienced children-singers and bands in the competition. Till 2011 there was a rule in JESC which do not allow former international final participants (excluding backing dancer/singers) to enter JESC once again, which was dropped for Russia 2011 case. - Previously JESC rules stated that songs taking part should not be commercially released and/or publicly performed before the national selection event, however in 2008 this rule has been cleared and deadline of June 1 has been set for same purpose. At rare times, though, some broadcasters are conducting national preselection prior to this date and it is not considered to be breach of the rules. - Songs, taking part in JESC should be between 2.30 and 3.00 minutes long (upper limit was 2.45 before 2013). In ESC they should not be longer that 3.00, but there is no lower limit. - Songs should be performed only in national language of the country, while ESC is favouring free-language rule. It has been considered that songs containing more than 25% of non-national language should be rejected, however, in past this rule has been broken number of times, for example in 2010 there were 3 entries not qualifying under it. - Rules of the contest demand all songs to be original creations (ESC rules no longer contain this phrase). However, in 2010 song containing classical insertion has been allowed to take part. According to the explanation, sampling should not prevail in the song. - Contest always takes place on Saturdays in November/December at 20.15 CET (only in 2011 the show has started at 19.30 CET due to the time difference with Armenia). In 2013 show will start at 19.00 CET. ESCs take place in Spring, also on Saturdays and are aired at 21.00 CET. Junior Eurovision broadcast runs on screens for approximately 2 hours 15 mins. ESC runs for 180-200 mins. - Euroweek schedule include 2 rehearsals, 2/3 dress rehearsals, city tour, welcome and after parties, and don't include press-conferences besides the winner. At ESC all participants also have 2 press-conferences. - Since 2006 viewers are able to start voting from the beginning of the first entry presentation and end after second reprise of all entries . 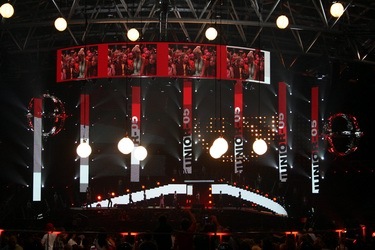 Same procedure was also used in EDC 2007, interestingly that in first 3 cases of this system being used, the contestant performing last have won. Same system is applied in ESC since 2010 only. In 2011 voting window will make it's return to JESC and in 2012 to ESC. - Since 2008 final score of the songs in each country of the Participating Broadcasters which broadcast the Contest live is calculated on both the results of the televoting and of the Back-up Jury's votes on 50-50% basis. Same system has been brought into ESC since 2009. However, at JESC, compared to ESC, separate results of televoting and jury vote are not published. - In 2007, 2008 and 2010 years profits from the televoting in the contest are donated to UNICEF. - Since 2005 every contestant in JESC has automatically been awarded 12 points to prevent the disappointment of children getting low score or zero points. - Since 2006 only English language is used by hosts of the show. Hosts of ESC and EDC use both official languages of EBU: English and French. 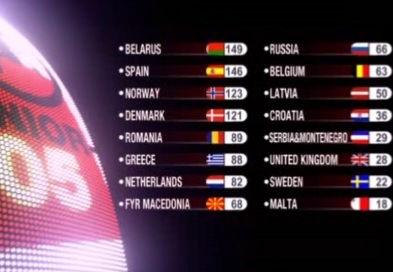 - Also since 2005 points from 1 to 5 are announced only by hosts, while in 2009-10 they were only shown on screens. Since 2011 points will be announced in full as in 2003-2004. 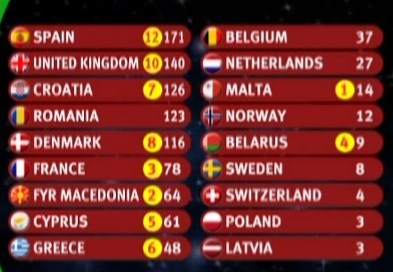 In ESC since 2006 points 1-7 are only shown on screens. - National spokespersons are also kids below 16 (in history (2005, 2010 etc) however, this rule was broken several times). Since 2013 it is prescribed that spokespersons should be located on the site of the contest. - In 2003-2006 DVDs of the show have been produced. They have also included full previews (in ESC DVD are produced since 2004 and recently include previews only of top 10 countries). Every year CD of the contest is being produced, since 2006 being double with karaoke versions (in ESC karaoke versions are only sold digitally). In 2009-2011 CD was sold only online and is not even available at the venue merchandise shops. At present a total of 31 countries with broadcasters being members of the EBU have taken part in the contest. 2 countries have entered every JESC from the beginning: Belarus and the Netherlands. France, Switzerland and Poland have withdrawn in 2005, Norway, Denmark, Sweden (SVT), United Kingdom (ITV) and Latvia have withdrawn in 2006 and Spain and Croatia have followed their example in 2007. 2008 has seen withdrawals of 2nd Swedish broadcaster TV4 and Portugal, thus leaving only Netherlands and Belgium as Western countries in the contest. In 2009 Swedish TV4 made comeback, but Greece, Bulgaria and Lithuania have abandoned the show. In 2010 two countries neighbouring Belarus, Latvia and Lithuania returned to the show, Sweden has swapped broadcasters and Cyprus and Romania have withdrawn. In 2011 after two years of absense Bulgaria makes it's return with Malta and Serbia withdrawing. Till 2007 every year more countries (mostly Eastern) were joining the contest, Russia and Serbia joined in 2005, Ukraine and Portugal - in 2006, Armenia, Bulgaria, Georgia and Lithuania made their debutes in the contest in 2007. 2008 and 2009 however, have not seen any newcoming countries. Another ex-USSR country Moldova joined the contest in 2010. Three new countries have joined JESC in 2012: Albania, Israel and Azerbaijan, while Bulgaria, Latvia, Lithuania and Macedonia left the show. Macedonia (missing only one edition), and Malta (missing two editions) returned in 2013. Broadcasters have been submitting preliminary applications on participating, but however have never joined the show: Azerbaijan (2008-2010), Germany (ARD/NDR) (2003-2004), Slovakia (SK/STV) (2003), Israel (IBA) (2003-04, 2008), Ireland (RTE) (2003-04), Bosnia and Herzegovina (BHRT) (2007-2008), Turkey (TRT) (2007), San Marino (2011). Several countries have been broadcasting the show without taking part in it: Azerbaijan (ITV) (2007-2009), Bosnia and Herzegovina (BHRT) (2006-2010), Israel (IBA) (2007), Andorra (ATV) (2006), Finland (YLE), Kosovo (RTK), Estonia (ETV), Germany (KIKA) (all 2003), Albania (RTSh) (2005, 2011) and Australia (SBS) (2003-2012). 2004 30-42 Euro ������� ������� ����� ����������� (������� �����������, ����) - ��� ������� ������ ������ ����������� ������������ ������� ������ - �������� ����� �����������. �������������, ��� ���� ������������ ��� ����� � �������� �� 8 �� 15 ���, ������ � 2007 ���� ���������� ����� ��� ����� � � ��������� ����� ������ ���� � �������� �� 10 �� 15 ��� (������������) �� ������ ������ �������� ����������� �� ������� � ���. ���� �������� - �������������� �������� ������� �������� � ������� ���������� ������, ������� ������������� ������������ ����� ������ - �������������. ������������� �������� ����������� ��������� ����������� ����������� ����, ������� ����� ���������� �������� ����� � ����� �����������. ����� ������� � ������ �������� ����� ��������� ������� ������ ������������, ���������� ������� ���. ������ ������� ��� �������� � 2003 ���� ����� ������ �������������� �������� MGP Nordic, ���������� � 2002 ���� ��� ������� �����, �������� � ������. ��� ����������� ���� ������� ������������ � ��� ���� ��������� �� ���-����������� ������. ������, � 2006 ���� �������� ������������� ������������ ���������� ������� � ������� ����������� � ��������� � ����������� ������������ MGP Nordic, ������� ������ ��������� � 2010 ���� �������������. - ������-���������� JESC �� �������� ��������������� ����� �� ���������� �������� ���������� ����, ��� ��� ���������� � ESC. ����������� �������� ���������� ���� ������������ �������, ��� ����, ����� ������� �������� �� �����-����������. �� 2009 ���� ������� � ���������� �������� ������ ����������� ������-������ ����������� ����, ������ � 2011 � 2013 ����� ��� ���� �������� �� ������. - � JESC ����� ����������� ������������ ���������� � 18 �����, � �� �����, ��� �� �������� ����������� ������ ��������� ������� �� 45 �����. - � JESC ������ �������� ������ ���� ������ ����������� ������������� ������ � ���������������� (� ���������� ����������� ����������� ����������, �������� ������� 2007, ������ 2009, ������ � ������ 2010 � �.�), � � ESC �� ������������ ������� ����� ������ ������ ���� �������� ���� ����������� ������������. � JESC ������ ����� ��� ����������� ����� ������ �� �����������. ������������� ��������� ������ �� ����� ��� �� 3 ������ �� ��������. - � JESC ������ ����� ����� ������������ ����, ���������� �� ����������, ��� ����������� � ��� �� ����� ���� � ��������� ���, � � ESC ����������� �� �������������� �� ����������. - �������, ���������, ��� ����-��������� �� ����� ����� ��������� ����� ������ ��� � ������� ������ ������������ ������� ���� ������� � 2003 �� 2006 ��� � ���� �������� � 2007 ����, ����� ������� ��� ������� ���� - ����������� �������� ����������� ������� ������� � ��������. �� 2011 ���� ������������ �����, ����������� ���������� �������������� ������ (�� ������ ���������� ���-������ ��� �����������) ��������� ������� � ��������, ������� ���� �������� � ����� �� ������� ������ 2011. - ����� � �������� ���� �������������, ��� ����������� � JESC ������� ����� �� ������ ���� ����������� �������� �/��� �������� ��������� �� ������������� ������, ������ � 2008 ���� ��� ���� ��������� ����� ����� � �������������� 1� ���� �������� ����. �������, ������, ��������� ������������ �������� ������ �� ��������� ���� � ���������� ��� �� ���������. - �����, ����������� ������� � JESC ������ ���� ������ �� 2.30 �� 3.00 ����� (�� 2013 ���� ������� ������� ���� � 2.45 �����), � �� ����� ��� � ESC ����������� ����� ����� �� ������ 3.00 �����, �� ��� ������� ������. - ��� �����, ����������� � JESC ������ ����������� �� ��������������� ������ ����� ��������, � �� ����� ��� � ESC ��������� ������� ���������� ������ ����� ����������. �������� ����������, �������� � 2012 ���� ��������, ���������, ��� ����� ���������� ����� 25% ������ �� ����������������� ����� ����������� �� ������, �� �� ���������� �������� ������ �������, ������, ��������� ��� ����������, ��� � 2010 ���� 3 ����� ��� �� ���������������. - ������� �������� ������, ��� ��� ����� ������ ���� ������������� (������� ESC ��� �� �������� ������ �����). ������, � 2010 ���� �� ������� ����������� ��� ������� ������, ����� � ������� ���������� �� �������� ���� �������� �����, ����������� ������������ �������. �� ���������� - ������ �� ������ ������������� � �����. - � ��������� ����� ����� ������ ������� ��������� ������� ���� � �������� �� 10 �� 15 ���, � � ������, ���� ��� �� �������� ��������� �������������, ��� ��� ����� ������ ��������� ������� � ���������� ����� � �������� ��� ����������, �������� ��� �����������������. � 2008 ����, ������, �������� ����������� ���������� �������� � ��������� ���������� ����� ��� �������, ��� ��� ����� �� ��� ����� ��������� �� ������. - �� 2008 ���� �� ����� ���������� ����� �� ����� ����������� ����������� 8 �����, ������ � 2008 ���� ������� ���� ��������� � ������������ � ��������� ESC � ������ ����� ������������ ������ ���� �� ����� 6. - � JESC ����������� ���������� ���-������, � ����� ������ ����������� ������ �������� �����. - ����-������� �� ������ ������ ������, ������� ����� ���� ������� �������� (�������� ��������� �������� ������ � �.�), � ESC �� ������ �������������� ������� ���������� �� ����������. - ���������� ������� ����������� ���������� �� ��������� ��������: ������ ������� �� ������, � ������ ������� ����������� ������ ���� ����� ������������ ����������� ��������. ����� �� ��������� ������������ � ������������ �����������. - ���������� �������� �������� � ������/������� �� ��������, � 22.15 ������ (������ � 2011 ���� ��� �������� � 21.30 ������ ��-�� ������� �� ������� � ��������). � 2013 ���� ��� �������� � 21.00 ������. ESC ������ �������� ������, ����� �� �������� � ���������� � 23.00 ������. ����� ����� JESC - �������� 2 ���� 15 �����. ESC ������ 180-200 �����. - ���������� ���������� �������� � ���� 2 ���������, 2/3 ����������� ���������, ��������� ���, ��������� �������� � ��������, � �� �������� � ���� �����-�����������, ����� ����������. �� ESC ��� ��������� �������� �� 2 �����-�����������. - � 2007 ���� ������� ���������� ��������� �� ������������� ������� � ������ �����, � ���������� ��� � ������ �� �����, ������� ������������ ������ ����� ���������� ��� ������ ������� ���. �� 2006 ���� � � ESC ������� �������� � ������ ����� ����������� �������. - � 2006 ���� ������� ����� �������� ���������� � ������ ������ ����������� ����� � ����������� ����� ���� ������ ���� �����������. ����� �� ����� ���� ������������ � � ������������ ����������� 2007, ���������, ��� �� ������ 3 ������ �� ���������� ������� ����������, ����������� ���������. ��� �� ����� ����� ����������� � � ESC, �� ������ � 2010 ����. C 2011 ���� ��� ����������� ������������ �� ������� �������, � � 2012 �� ��������. - C 2008 ���� �������� ��������� ����������� ��� �����, ��� ����� ������������� ������� � ������ ����� ������������ �� ����������� ��������������� � ����������� ���� � ����������� 50-50. ��� �� ������� ���� ������� � ESC � 2009��. ������, �� JESC, � ������� �� ESC, ���������� ���������� �� �������� � ���� �� �����������. - C 2013 ���� � ������� ����������� ���� ������� ��� �������� ����� - ������, ������� � ������. - � 2007, 2008, 2010 ����� ��� ������� �� ����������� � ������ �������� ������������ � ������. - ������������ ���� c 2008 ���� ������ �������� �� 6 �������, ���� ������ 16 ��� � ���� ����������� ��������������. �� ����� �������� ���� �������� �� �� 8 ������� � 4 �� ��� ������ ���� ���� ������ 16 ���. �� ESC � ��������� ����� ������������ ���� �� 5 �������, ��� �� ������� ����� �������� ���������������. - � 2012 ���� ���� ������� �������������� ������� ����, ������������ �� ������ ������� �� ������ ����������� ������ (��������������� ������ ������������ ��� ���������� ������������ �������). - C 2005 ���� ������ �������� JESC ������������� �������� 12 ������, ��� ����, ����� ���� �� �������������� ������ ������ ����������� ������ ��� ���� �����. - � 2006�� ���� ������� ���������� ������ ���������� ����. ������� ��������� � ������������� ��������� ���������� ��� ����������� ����� ���: ���������� � �����������. - � 2005�� ���� ����� � 1 �� 5 ����������� ������ ��������, � � 2009-10 ����� ��� ������ ������������ �� ������. C 2011 ���� ����� ����� ���������� ���������, ��� ��� �������� � 2003-2004 �����. �� �������� �������� � 2006 ���� ����� � 1 �� 7 ������������ �� ������. - ���������� ����� �������� ����� ���� �� 16�� (�� ������� (� 2005, 2010 � �.�) ������ ������ ������� ������������ ����������). � 2013 ���� ��������� ���������� ���������� � ����� ���������� ��������. - � 2003-2006 ���� ����������� ����������� DVD ��������. ��� ����� �������� � ���� ������ ������ (�� ESC DVD ����������� � 2004 ���� � ������ �������� � ���� ������ ������ 10 ������ �����). ������ ��� ����������� CD ��������, ������� � 2006 ���� �������� � ���� � ������� ������ ����������� ����� (�� ESC ������� ����������� ������ � �������� �������). � 2009-2011 ����� ����� ��������� ������ ������ � ���� �� �������� � ����������� ��������� ��������� �� ����� ��������. �� ��������� ����� �� ��� ������� � �������� ������� ������� 31 ������-���� ���. 2 ������ ��������� ������� �� ���� ���������, ������� � ������ ������: �������� � ����������. �������, ��������� � ������ ������� � �������� � 2005 ����, ��������, �����, �������� ������������ SVT, ���������� ITV � ������ ������� � 2006 ����, � ������� � �������� ����������� �� ������� � 2007 ����. � 2008 ���� �� ������� ���������� 2� ������������ ������ TV4 � ����������. ����� �������, �� ���� �������� ����� � �������� �������� ������ ���������� � �������. � 2009 ���� ������ ��������� �� �������, ������ � ���� ������� ������, �������� � �����. � 2010 �� ������� ��������� ��� �������� � ��������� ������ ����� � ������, ������ ������� ��������, � ���� � ������� �������� �������. � 2011 ������ ��� ���� ���������� �� ������� ������������ ��������, � ������ � ������ ���������� ���� �������. �� 2007 ������ ��� � �������� �������������� ����� ������ (� �������� ���������): ������ � ������ ������� � ���� � 2005 ����, ������� � ���������� � 2006, �������, ��������, ������ � ����� ������������ � 2007. ������, � 2008 � 2009 ����� ����� �� �������� �� ���������. ��� ���� ������������� ������ - �������, �������������� � �������� � 2010 ����. � 2012 ���� � �������� �������������� ��� ����� ������: �������, ������� � �����������, �� ���������, �����, ������ � �������� ���������� �� ������� � ���. � 2013 ���� ��������� (������������ ���� �������) � ����� (2 ��������) ������������ �� ����. ��� ����� ������������ ���, �� �������� ������� � ���: ����������� (2007-2009), ������ � ����������� (2006-2010), ������� (2007), ������� (2006), ���������, ������, �������, �������� (��� 2003), ������� (2005, 2011) � ��������� (2003-2012). - The executive producer of the previous host country, the executive producer of the current year's host broadcaster and the executive producer of the next host broadcaster: Gohar Gasparyan (ArmTV, Armenia), Ronald Kok (AVRO, the Netherlands), Victoriya Romanova (NTU, Ukraine). The eleventh edition of the Junior Eurovision Song Contest is taking place in "Ukraina" Palace, Kyiv, Ukraine and is hosted by broadcaster NTU. Official sites: www.junioreurovision.tv, 1tv.com.ua ������� ������� ����������� �������������� ����������� ����������� ���� (���), ���������� ���������� ������������ � ����. ����� ��� ������������ ������������ ���������. - ����������� ������ ���������� � �������� �������� �������-�������������. ���������� ����������� 4 ��� 5 ��� � ��� � ��������� ������� � ��������� ��������. �������������� ����������� ���: ��������� ������� (������) (� 2011-12 ����� ������ (����������), � 2004-2010 ������ ����������, ������) � 2003 ������ ���������� (�������)). ������������ ������� �������� ����������� ������� �� ������ "�������" � �����. ���������� ��� ������������ ������������ �������. This was the year, ESCKAZ has established leading role in the coverage of the contest "Delivering News First" and reporting from Euroweek live. ESCKAZ pages on JESC 2007 are located here and videos can be seen here. - The host country was chosen by the European Broadcasting Union on 13 July 2006, the host city was announced on 11 September 2006. The Netherlands won the rights to host the show over Croatia and Cyprus, the choice was made within a 10 minutes. - 8th of December is the latest date of the contest in it's history. - One of the main rules of Junior Eurovision in the past that prohibited children taking part in the contest having solo or group releases and professional experience was cancelled this year, thus allowing professional kids artists in the competition. This allowed contest to be joined by bands like Arevik, Bon-Bon professionally working for many years. - Another major changed introduced this year is that only children aged 10-15 on the day of final have been allowed in the contest and not 8-15 as in past years. - 19 countries have subscribed for the show, but as rules allowed only up to 18 participants, Georgia had to be left out of the official list, published by EBU on May 21st. 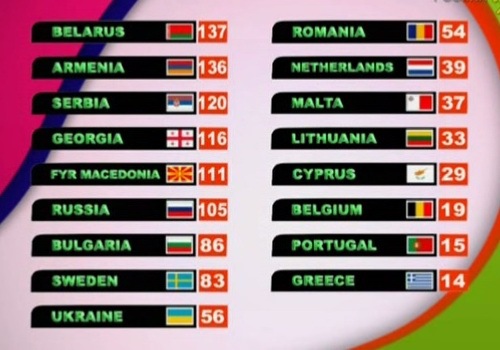 There has been big number of debuts: Armenia, Bulgaria and Lithuania decided to join the competition. Bosnia and Herzegovina was going to be one of the four debutants, but at it decided to withdraw and Georgia was able to take this vacant place on June 4th. - Croatia has withdrawn from the show due to necessarity of live broadcast of the show and facing fine for failure to do this in the previous year. The rule obliging live broadcast of the contest was withdrawn in this year though. - On August 8th Spanish RTVE announced it's immediate withdrawal from the contest. "JESC promotes stereotypes we do not share", was the explanation of broadcaster, "in formats like JESC dangerous lines can be crossed". Turkey was next in waiting list, but opted not to join the competition. - In late August EBU announced trying to persuade new countries to join or rejoin the contest in 2008, among them Turkey, Denmark, Israel, Ireland, Germany, UK, Spain, Austria, Montenegro, Bosnia and Herzegovia, providing special change of the rules. - Besides participating countries contest was broadcasted in Azerbaijan, Bosnia-Herzegovina, Israel and Australa (on 24th of December). 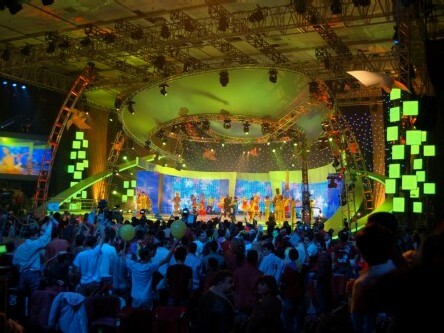 Israel, investigating interest for the show, has also screened JESC 2005 and 2006 in December 2007. - One of the debutants Armenia was allowed by EBU to select their entry internally. Armenian band was the only JESC entrant so far having a mini-promotional tour: they performed in Cyprus and in Sweden. JESC rules do not allow promo-tours, but these band concerts have been set before it's selection to the contest. - At the same time, another debutant, Georgia has held a lengthy procedure of public selection, which included castings in 7 Georgian cities, and the entire selection process being under the auspice of Georgia�s First Lady Sandra Roelofs. - This year EBU has organized Junior Planet - online competition for children performing cover version of JESC song. Winners got entrance tickets and backstage accreditation for JESC 2007. Unfortunately, there has been extremely low interest. 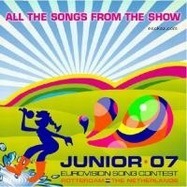 - Sara Markoska, future JESC 2009 entrant, was backing singer for Macedonian entry in Rotterdam. - For the first time national selections in Ukraine and Belarus were held not in the capitals of these countries. Regional voting applied in Belarus. - Ukraine proposed to make International Children's Summer Camp "Artek" a permanent venue for all Junior Eurovision contests since 2009. First lady of Ukraine Kateryna Yuschenko came to Rotterdam to defend this proposal, joining First lady of Georgia in the hall. - Number 9 Films has produced documentary "Smells Like Teens Spirit" (working title: Son of Eurovision) devoted to the contest. Production unit attended Maltese, Swedish, Belarus, Georgian, Ukrainian, Cypriot, Belgian and Bulgarian preselection, choosing performers from Belgium, Cyprus, Georgia and Bulgaria as main stars of the movie. During the shootings in Belarus, director of the movie Jamie Johnson exclaimed that he will take any of NF entrants as lead character to the movie except for Alexey Zhigalkovich. Alexey however went victorious not only in Vitebsk, but also in Rotterdam. - Strangely, some features in this movie presented as filmed in press-center in Rotterdam, have been actually filmed a year ago in Bucharest. - Tickets for the show went on sale on September 10th for registered JESC fans from Netherlands and Belgium and since September 18th for the open sale. Costs varied 5-20 Euros for dress rehearsal and 10-35 Euros for the show final. Tickets for the final have been sold out within 3 weeks. - Kim-Lian van der Meij and Sipke Jan Bousema have hosted the international final (announced on October 22). Kim-Lian appeared pregnant at the show, so some elements, including entrance of the hosts, had to be adjusted because of these facts. 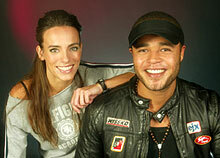 Sipke Jan as UNICEF ambassador has appeared in 2008 show as well and run Dutch commentary from 2008-10 finals. - Contest theme was "Water" with motto "Make a big splash". "Water" is synonim for "strength, energy and joy". 625 sq. meters large stage contained a lot of elements connected with water designed by Ronald van den Bersselaar, including 5 water curtains of 75 meters length and water drops using 50.000 litres of water, and 150 LED screens to ensure splash impact. 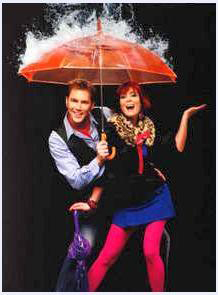 Theme also explains logo with "singing girl" in boots which also features waterdrops. - 15 cameras were used, and 200 men crew employed at the show produced by creative designer Gerben Bakker and directed by AVRO's Eduard Huis in't Veld. Executive producer of the show was Jose van der Mark. - 140 journalists have been accredited at the show, mostly from The Netherlands and Belgium. - The official website of the contest attracted visitors from over 100 countries. Spain and the United Kingdom were among top-5 visiting countries, even though they don't participate in the show. - The show featured specially UNISEF commisionned song "One World" devoted to the rights of children, composed by Jeroen Rietbergen and Ronald Molendijk. It has been recorded during Euroweek by all lead singers taking part in the competition. For the first time show ended not with reprise of winning song, but with reprise of this special performance. - Also during the opening appeared 70 dancers of academy Lucia Marthas who performed "water anthem" composed by same team. - Special guest stars of the show was band Ch!pz performing theme song of the show "Make a Big Splash". The song in the altered version has later been released by the band as "Ch!pz Danz Xper!enZ". Katie Melua performing "If You Were a Sailboat" was another guest. - Differently to the previous two years, last year winners Tolmachevy sisters were not invited to perform, but only handled prize to the next winner. - For the first time smaller versions of the trophy have been given to the backing dancers of the winning entry as well (Sergey Borisevich, Maxim, Kolya Zenkov, Nikita Dis, Max Voichevsky, Igor Orlov, Artyom Greina - "All Stars" formation). Choreographer Alexander Mezhenny, vocal coach Olga Vronskaya. 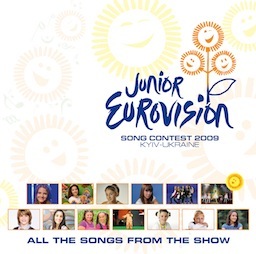 - Arrangers of the song Evgeny Oleynik and Aura (Yuliya Bykova) also worked on soundtrack of Junior Eurovision 2010 in Minsk. - JESC 2007 was official partner of UNICEF (United Nations Childrens Fund). All telephone and SMS calls income of the show were given to this fund. The Junior Eurovision for charity theme has already been incorporated in Dutch national selection where all earnings went to UNICEF, and preselection winners Lisa, Amy & Shelley travelled to Brazil to support UNICEF project. Ukrainian selection has also been associated with charity fund "Ukraine 3000". Participants of Ukrainian preselection have written open letter to organize charity action with participation of Junior Eurovision contestants. - During the Euroweek children were met by Mayor of Rotterdam Ivo Opstelten and special kid-mayor Sam Mol. Opening party was held in Hilton hotel. Children also vited Maritime Museum, had trip and lunch at "Pannenkoekenboot" and skated on a ring "De IJsbaan" in the center of Rotterdam. Celebrations of Sint Nikolaas fest and EuroDisco parties took place during the Euroweek as well. Friendship classes were organized for 4th time, reappearing only in 2010. - Official double CD of Belgian preselection has achieve platinum status prior to the contest, being sold in more than 25000 copies during the last week of November. It holded top spot in Flemish albums chart for 4 weeks. - For the first time, there has been no official DVD released. EBU has stated: "It was not commercially realististic to produce a DVD this time"
- Artists from Ukraine, Lithuania, Armenia, The Netherlands and Bulgaria have solo albums on their names. It is the first year, which winner has not released solo album. The Netherlands, Belgium, Sweden and Macedonia have released this year preselection albums. Georgia has not produced promo CD. - Betting odds prior to the final were: Armenia 7/2, Russia 5/1, Ukraine 11/2, Netherlands 13/2, Georgia 7/1, Bulgaria 15/2. Two days before the show Belarus was 2nd to last at 26/1. This fact has been highlighted by ESCKAZ editor speaking in news report of Belarus TV and after some bets were made, next day odds shortened to 16/1. - Only two boys were in list of spokespersons in 2007. Former JESC entrants Chloe Boleti, Sophie, Kimberley and Molly Sanden appeared among them. Romania Iulia Ciobanu started her three years series as spokesperson. - With 1 point, it was the shortest difference between runner-up and winner of the competition, decided on the last vote. After outbrake in Armenia, head of delegation even had to issue a special statement confirming that victory of Belarus was completely fair. 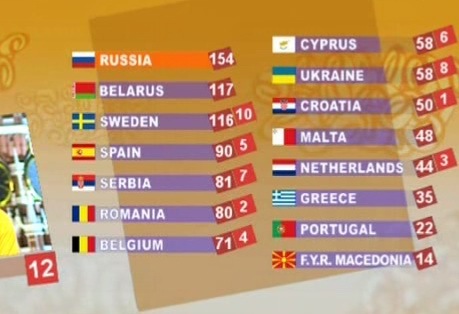 - After Spanish withdrawal, again it was Russia bringing largest number of viewers to the contest, also more than 1 mln of viewers were following the show in Romania, Portugal (1.09, 28.9%) and The Netherlands (1.024, 6.9%, 15.1%). Best rankings were achieved in Armenia 72.5% share, Belarus and Lithuania. Also show was watched by more than 10% of population in Belgium (13.9%, 33.9%), Portugal and Georgia. - For the JESC victory chairman of BTRC has been awarded Order of Francysk Skaryna, head of preselection received medal, head of delegation - honorary title. Vocal coach, choreographer and performer himself received official thanks. Besides this Alexey was awarded computer from Minsk mayor and TV set from administration of region and his family presented him DVD player. � ���� ����, ESCKAZ ���������� �� ���������� ������� � ��������� ��������, ������� ����� ����������� ������� � ��� ��������� � ���� ������ ��������� � ����������. �������� ESCKAZ � ������� ����������� 2007 ����������� �����, � ����������� ��� ����� ������� �����. - ������-����������� ���� ������� ����������� ����������� ������ 13�� ���� 2006 ����, ����� ���������� ������ 11�� �������� 2006. ���������� ��������� ����� ���������� �������� ������ �������� � ����, �� �������� ������� ���� ����� 10 �����. - 8 ������� - ����� ������� ���� ���������� �������� � �������. - ������ �������� ��� ������� � ������ 2� ��������� ����, �������� ���������� ������������� AVRO, �� ����� ��� ���������� ������ ���, ����������� ��������� � ����� ����������. - ���� �� �������� ������ �������� ����������� � �������, ����������� ����� �� ������� � �������� ����� ���� ���������������� ����������� ��� ��������� ����� � �������� ������� ��� ��������� ������������, ���� �������� � ���� ����. ��� ��������� �������������� � �������� ����� ������� ��� ������ ��� ���-���, ��������������� ���������� �� ���������� ���������� ���. - ������ ������ ����������, ������������ � ���� ����, ��� ��� ����, ��� �� �������� ����� ����������� ������ ���� � �������� �� 10 �� 15 ��� �� ���� ������, � �� 8-15 ��� ��� ���� �����. - 19 ����� ������ ��������������� ������ �� ������� � ���, ��, ��������� ������� ��������� ������ 18 ����������, ������ �������� ���������� ����� ������� � ����� �������� � � ������, �������������� ��� 21�� ��� ��� �� �����. � �������� ��������� ������� ���������� �������: �������, �������� � ����� ������ �������������� � ������� � ���. ��� ����� ���������� ������ ���� ����� ������ � �����������, �� ��� ����� ������ � 4�� ���� ��������� ����� ������ ������. - �������� ���������� �� ������� ��� ��-�� ������������� ���������� ��� � ������ ����� � ������ ����������� ��������� ����� �� ��������� ����� ������� � ������� ����. ������, � ����� ��� ������� � 2007 ���� ���� ��������. - 8�� ������� ������������ ������� RTVE ������� � ����������� ������ � ��������. "������� ����������� ���������� ����������, ������� �� �� ���������", ����� ���� ���������� ��������, "� �������� �������� ����� ������� ������� �������". ������ ���� ��������� ������� � ������ ��������, �� � ����� ������ �� ��������� ������� � ��������. - � ����� ������� ��� �������� � ���, ��� ����� ���������� � ����������� ������������� ��� ����������� �� ������� � 2008 ���� ������, �����, �������, ��������, ��������, ������������, �������, �������, ����������, ������-�����������, ������ ������� ����� �� ��������� ������ ���� �����. - ������ ����������� ����� ������� ��� ������� � ������������, ������ � �����������, ������� � ��������� (24�� �������). �������, ������ ������� � ���, ����� � ������� 2007 ������� � ������ �������� 2005 � 2006 �����. - �������, ����� �� ������������ �����, ��� �������� ������� ��������� ���������� �������. ������������� ������� ���� ������������ ������������ �������� ����������� � �������� ��� �������� ����-��������: ��� ��������� �� ����� � � ������. ������� �������� �������� ��������� �����-����, �� ��� �������� ������ ���� ������������� ��� �� ����, ��� ��� ���� ��������� �������������� �� ��������. - � �� �� �����, ������ �������� - ������, ������� ���������� ������������ �����, ������� ������� � ���� �������� � 7 ���������� �������, � ���� ���������� ������� �������������� ������ ���� ������ ������ �������. - � ���� ��� ��� ����������� Junior Planet - ������ ������� ��� �����, ����������� ����� ������ ����� �������� �����������. ���������� �������� ������ � ������ �� ������ ������ ��������. � ���������, ������� � ������� ��� ������ �������. - ���� ���������, ������� ����������������� ��������� �� ������� ����������� 2009, ���� ���-����������� ����������� ����� � ����������. - ������� ������������ ������ � ������� � �������� ���� ��������� �� � �������� ���� �����. � �������� ���� ��������� ������������ �����������. - ������� ���������� ������� ������������� ������� ������ ������ "�����" ���������� ������ ���������� ���� ��������� �������� ����������� ������� � 2009 ����. ������ ���� ������� �������� ������ ������� � ���������, ����� �������� ��� �����������, � �������������� � ������ ���� ������ � ���������� ����. - Number 9 Films ��������� �������������� ����� "Smells Like Teens Spirit" (������� ��������: "��� �����������"), ����������� ��������. ������������ �������������� �� ������� ������, ������, ��������, ������, �������, �����, ������� � �������� ������, � ����� ������ ������������ �� �������, �����, ������ � �������� �������� �������� ������. �� ����� ������ � ��������, �������� ������ ����� ������� ����������, ��� �� ����� ����� ����� ������ �� ���������� ������� ������� ������, ����� ������� �����������. ������ ������� ��������� ������������ ������� �� ������ � ��������, �� � � ����������. - ������� ��, ��� ��������� ������� ������, �������������� ��� ������ � �����-������ � ����������, �� ����� ���� ���� ����� ��� �� ��� �� ����� � ���������. - ������ �� ��� ��������� � ������� 10 �������� ��� ������������������ ������� ����������� �� ����������� � �������, � � 18 �������� � �������� �������. �� ��������� ���������� �� 5-20 ���� �� ��������� � 10-35 ���� �� ����� ���. ������ �� ����� ���� ���������� � ������� 3 ������. - ��� ���� ��� ��� ��� � ����� �� ������� ����� �������� �������������� ������ (��������� 22 �������). ��� ���� ��������� �� ��� ����������, ��� ��� ��� ��������� ��������, ������� ��������� �������, �������� ���� ����� ���������������. ����� ��, ��� ����� ������ ����� �������� �� ������ � 2008, � ����� ������������� ��� 2008-2010 ����� �� ����������� ��. - ����� �������� ���� "����" � ������� "������ ������� �������". "����" �������� ��������� "����, ������� � �������". 625 ���������� ������ ������� �����, ����������� ����� ���������, ��������� � �����, ���������� �������� ������� ��� ��� ���������, � ��� ����� 5 ������� ����� ������ � 75 ������ � ����� ���� � �������������� 50 000 ������ ����, � ����� 150 ������������ �������, ��������� ���������� ������ ��������. ���� ��������� � ������� - "������ �������" � ������� � ����� ����. - 15 ����� � 200 ������� �������, �������� ��� ���, ���������� ���������� �������� ��� ������ ������ � ���������� ������ ����. �������������� �������� ��� - ���� ��� ��� ����. - 140 ����������� ���� ������������� �� ��������, � �������� �� ����������� � �������. - �� ����������� ����� �������� �������� ������ ����� ��� 100 �������. ������� � �������������� ����� � ���-5 ����� �������������� �����, �������� �� ��, ��� ��� �� ��������� ������� � ���. - ��� �������� � ���� ���������� ���������� ������ ����� "One World", ����������� ������ �����, ���������� �������� ����������� � ��������� �����������. �� ��� ������� �� ����� ���������� � �������� ���� ��������, ����������� ������� � ��������. ������� ��� ����������� �� �������� ���������� �����, �� �������� ���� ����������� ����������. - ����� ����, �� ����� �������� ��������� 70 �������� �������� ����� ������, ������� ��������� "���� ����" ��� �� �������. - ����������� ����� ��� ������ Ch!pz ��������� �������� ����������� ���� "Make a Big Splash". ����� � ���������� ������ ������������ ��� ������� �������, ��� "Ch!pz Dance Xper!Enz". ���� ����� � ������ "If You Were a Sailboat" ���� ��� ����� �������. - � ������� �� ���� ���������� ���, ������������ ���������� ������ ��������� �� ���� ����������, ����� ���������, � ������ ������� ���� ���������� ����������. - ������� ����� ��������� ������ ����� �������� � ������� �����-�������������� (������ ���������, ������, ���� �������, ������ ����, ���� ����������, ����� �����, ����� ������ - ������ "All Stars"). ����������� ������ ��� ��������� ��������, ��������� �� ������ ����� ��������. - ������������� �����-�������������� ������� ������� � ���� (���� ������) ����� �������� ��� ����������� �������� ����������� 2010 � ������. - ������� ����������� 2007 ���� ���� ����������� ��������� ������ (������� ���� ���). ��� ���������� ������ � SMS ����� ��� ���� ���������� � ���� ����. ���� ������������������� ��� ����� ��������� � ����������� ������������ ������, ��� ��� ������� ����� � ������, � ����� ���������� ����, ��� � ����� ����������� � ��������, ����� ���������� ������ ������. ���������� ������������ ����� ����� ���� ������� � ����������������� ������ "������� 3000". ��������� ����������� ������ �������� �������� ������ � �������� ������������ ����������������� ����� � �������� ������������ �������� �����������. - �� ����� ���������� � ������ ����������� ��� ���������� ��� ��������� � ����������� �������-��� ��� ���. ������ ��������� �������� � ����� ������. ����� ����, ���� �������� ������� �����, ���� ������� � ���� � "Pannenkoekenboot" � ������� �� ����� "De IJsbaan" � ������ ����������. ����� �� ���������� ������ ������������ ��� Sint Nikolaas � EuroDisc. ������ ������ ���� ������������ � 4� ���, � ����� ��������� ������ � 2010�. - ����������� ������� CD ������������ ������ ������ ����������� ������� �� ��������, ������ ��������� � ���������� ����� ��� 25 000 ����� � ������� ��������� ������ ������. �� ��������� ������ ����� �� ����������� ����� �������� � ������� 4 ������. - �������, �� ��� ������� ����������� DVD ��������. ��� ������: "��� ���� ����������� ������������� ��������� DVD �� ���� ���". - ������� �� �������, �����, �������, ����������� � �������� ��������� �������. �������, � ���� ����, ���������� �� �������� �������. ����������, �������, ������ � ��������� ��������� �������� ����� ������������ �������. ������ �� ��������� ����������. - ������ ����� ������� ����������� �� ��������� �������������: ������� 7/2, ������ 5/1, ������� 11/2, ���������� 13/2, ������ 7/1, �������� 15/2. �� ��� ��� �� ������ �������� ���� ������ � ����� � ������������� 26/1. ���� ���� ��� ���������� � �������� ��������� ESCKAZ �������� ��������-�� � ����� ����, ��� ��������� ������ ���� �������, �� ��������� ���� ������������ �� �������� ����������� �� 16/1. - ������ ���� ��������� ����� � ������ ��������� � 2007 ����. ������ ��������� ����������� ��� ������, ����, �������� � ����� ������ ��������� ����� ���. ������� ���� ������ ������ ���� ����� �� 3 ��� � �������� �������� ������. - 1 ���� ��� ���������� �������� ����� �������� � ����������� ��������, ��� �������� �� ����� ���������� �����������. ����� ������������ � �������, ����� ��������� ���� �������� ��������� ����������� ���������, ��������������, ��� ������ �������� ���� ���������� �������. - ����� ������ �������, �����-���� ������ �������� ��������� ���������� �������� � ��������, � ����� ����� 1 ��� �������� ������� �� ��� � �������, ���������� (1.09, 28.9%) � ����������� (1.024, 6.9%, 15.1%). ������ �������� ���� ���������� � ������� 72,5% ����, �������� � �����. ����� ����, �� ��� ��������� ����� ��� 10% ��������� ������� (13.9%, 33.9%), ���������� � ������. - �� ����� �� �������� ������������ ���� ��� ��������� ������� ��������� �������, ����� ������������� ������ �������� ������, ����� ��������� - �������� �����. ������������� �� ������, ��������� � ��� ����������� �������� ����������� �������������. ������ ����� ������� ��� ��������� ����������� �� ���� ������ � ����������� �� ������������� �������, � ��� ����� �������� ��� DVD �����. - Romanian broadcaster TVR was chosen over Dutch AVRO and two more countries (including Croatia) to host JESC 2006. The hosting decision came quite late, on 5th of October 2005. - EBU provided technical team and funds in amount of 1.5 mln Swiss Francs for organization of the show. TVR input to the budget was about 500 thousand euro. - Norway, Sweden and Denmark have withdraw from this year's JESC. Officials were unhappy with the amount of commercial pressure placed on the young contestants in the final, and instead decided to go ahead with MGP Nordic show. The countries were proposing a limitation of 12 countries to participate at the JESC and wanted to have bigger representation in the Stearing Group, but it was turned down. The already scheduled preselections of NRK and SVT went ahead but aimed for MGP Nordic. - ITV (United Kingdom) withdraw due to bad viewer ratings, while Latvia left the contest mainly due to financial reasons (even though already was collecting applications to take part). Also the contest was abandoned by Belgian broadcaster RTBF due to financial reasons with all Belgian participation duties now on Flemish broadcaster VRT. - Serbia and Montenegro participated in the 2005 contest, but since then, Montenegro voted for independence. The EBU gave their national broadcaster RTCG, extra time to decide whether or not to participate, but they finally declined the invitation. Due to this, final list of participants has been released only on 9th of October (though it remained unchanged from 18th of May variant). - Contest has been joined by another Swedish broadcaster TV4, as well as by Portugal and Ukraine, both of which have broadcaster last year's show. Originally 16 countries had initially signed up for the contest but one unspecified country later dropped out. Moldova, Georgia, Armenia, Monaco and Bosnia have been also negotiating participation. - The show was broadcast live in Andorra, Bosnia and Herzegovina and on 1 January 2007 in Australa. - With 21 entries in the final Romanian preselection is the biggest in the history of the contest, but if semifinals will be counted as well, this title will move to Maltese 2008 preselection with 32 entries. - Website of Maltese entrant Sophie has been launched in record 12 languages: English, Russian, Greek, French, Italian, Spanish, Dutch, Swedish, Romanian, Croatian, German and Maltese. Prior to the contest site was hacked by Islamic group. - Sophie herself is the sister of Charlotte Debattista, who took part in JESC 2004 as member of Young Talent Team. - Chloe Boleti has got to JESC with her 3rd attempt in the national finals. - Band "Neustrasivi ucitelji stranih jezika" performing "Ucimo strane jezike", which means "Fearless teachers of Foreign Languages" performing "Studying foreign languages" represented Serbia with song in Serbian, English, French, German, Spanish, Italian, Russian and Japanese. Only refrain (2 lines, 7 words) were performed in Serbian, while other languages have been used in verses (24 lines, more than 100 words). Additionally - it has been written by adult, Zarko Sebic. - However, EBU has decided to allow Serbian entry to proceed, also clearing Macedonian entrant stating that her two previous CD releases could not be considered commercial, and Portuguese song that has been composed by adult, 24 years old Telmo Falcao, as apparently RTP has mistakenly officially allowed entries co-written by adults to take part in the local preselection. - Romanian entry "Povestea Mea" was the first costume act at the contest. Four kids were dressed as Peter Pan, Spider Man, Harry Potter and Prince Charming. - Belgian entry by Thor reached #2 in the national charts. - junioreurovision.tv has been collaboration between TVR and EBU, thus no national website for the contest has been launched with official site being available in English and Romanian. Live broadcast of the event took place on the official site for the first time via octoshape technology. - This year, no single country has filmed a special music video in time for the inclusion to the preview program. Mostly national final performances were used. - The official CD for the first time was double: it included karaoke versions of all entries. - Sweden, The Netherlands, Belgium and Spain have released compilations of national preselection. Artists from Russia, Belarus, Sweden, Malta, Portugal, Belgium, Serbia, Spain (in Auryn) and Cyprus (Christina) have released at least 1 album, however, only Molly Sanden reached popular artist status. mainly, playing with music, drawings and color!" said the press-release. - The stage represented a planet of fun and joy. - During Euroweek contestants attended Welcome Party at Hotel Marriott (not attended by Serbia due to the late arrival), afterparty at the Intercontinental Hotel, tour and visits to Village Museum in Bucharest, which exhibits original buildings and housings from 18th century, Glass Manufacture Museum, Parliament Palace, meeting with Romanian folk artists and traditional Romanian dinner. The trip was not attended by Dutch delegation and Christian from Romania, who was slightly ill. Special Euroclub for children was operating as well. - Show was hosted by Andrea Marin (announced on 17th of October), Ioana Ivan as singing girl from the logo (announced on 6th of November) and Andrei Mateiu as Dracula. Appearance of Count Dracula was explained that he "has been drinking only water for the past two generations!" Andreea has already twice appeared on the Eurovision Song Contest, reading out the Romanian televote results in 2004 and 2006. - Dan Manoliu has been show director, Irina Radu - executive producer, Mioara Negescu - project manager, Iurie Moroianu - stage designer, Alexandru Ghildus - trophy designer. - Biggest number of media were accredited from Belgium (12 outlets) and Greece (8 outlets). Accredited press was also from such non-participating countries as UK, Bulgaria and Kazakhstan. - Free entrance for JESC 2006 was run by applications on the official website. The reasons for that procedure are to produce higher interest in the competition and besides too high taxes would have to be paid by TVR if the tickets were for sale. About 5000 viewers, from them about 3000 on public invitations, watched the show in Sala Polivalenta hall - the smallest hall in the history of the contest. Tickets were requested by 300 foreigners, in total 600 foreigners have arrived for the show. - Kseniya Sitnik has performed her winner "My vmeste" during interval act as well, originally she was also due to perform "Malenkiy Korablik" as well. - Voting lines were open at the start of the show and remained open until 10 minutes after the last performance. This was first trialled during the broadcast of Congratulations in 2006 and introduced in adult ESC in 2010. - Olia Kharlap, one of the backing dancers in Ukrainian performance had an accident just seconds before the end of the second rehearsal and seriously hurt her leg, that required surgery. She was not able to perform at the final, but attended show in Green-Room. Because of the incident, Ukrainian delegation was unable to attend friendship classes and party with Dracula. - Tolmachevy sisters were joined on stage by step-group Sasha Boldin, Seryozha Podolniy, Grisha Negin and Vladik Glebov. Choreographer - Sergey Shirokov, vocal coach Natalia Trihleb. -One day prior to the contest bookmakers favourites were: Sweden 4.00, Spain 4.00, Greece 6.50, Russia 7.00. - Croatian HRT failed to broadcast show live on main national channel, instead airing it on satellite HRT Plus. Broadcasting the show live was one of the main rules in 2006. Paying a 10.000 CHF fine, HRT has decided to withdraw from competition next year. - Russia has reported around 4.45 mln viewers, 27.4% rating with share of 6.2%. 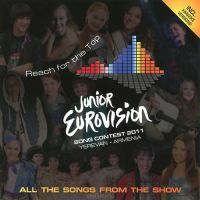 As Spain has reported lower rankings Russia has provided the biggest number of viewers to the Junior Eurovision contest in 2006. Over 1 mln of viewers were also reported in Spain, Romania, Serbia and Portugal, while Netherlands (739 thousand 4.9%/10.6%), Belgium (870 thousand), Sweden and Greece, where as in most of the countries, rating has lowered from 2005 figures, dropped from this list. In The Netherlands since 2006 contest has been moved from 2nd to 3rd national channel. - Documentary about Russian entrants in the contest "Fenomenal twins or how our representative conquered Eurovision" has received international award as "Best social project" at festival "Erasmus euromedia awards" in Vienna. - Tolmachevy sisters were later part of the opening act of semifinal of Eurovision 2009 in Moscow. - ������������ ������� TVR ���� ������� ������������� �������� ������ ����������� AVRO � ��� ��� ������������ (������� ��������). ������� � ����� ���������� �������� ���� �������� �������� ������, 5�� ������� 2005�� ����. - ��� ���������� ����������� ������� � ����� � ������� 1.5 ��� ����������� ������� �� ����������� ���. ����� TVR � ������ �������� ����� 500 ���. ����. - ��������, ������ � ����� ������� � ���� ���� � ��������. ����������� ���� ���� ����� ���� ���������� ��� ������������ ���������, ��� ����� �������������� �� ���� ���������� ���, � ������ ����� ������ ��������� � ���������� ������������ �������������� ������� MGP Nordic. ��� ������ ����� ���������� �������� ������ � 12 ����������� ����� � ������� ����������� � ������, ����� �� �������������� ���� ������ ������ ���� � ����������� ��������, ������ ��� ���������� ���� ��������� ���. ��� ���������� ������ NRK � SVT ���� ���������� � ����������������� �� MGP Nordic. - ITV (��������������) ������� � �������� ��-�� ������ ���������, � �� �����, ��� ������ ������� ��� � �������� ��-�� ���������� ������ (���� � ������ ��� ��������� ������ �� ������� � ������). ����� ������� �������� ������ ����������� ������������ RTBF � ����� ������� ��� ����������� �� ������������� ������� �� �������� ������� � ����������� VRT. - ������ � ���������� ��������� ������� � �������� 2005 ����, �� � ��� ����, ���������� ������������� �� �������������. ��� ���� �������������� ����� ������������ �������� RTCG ������, ������� �� ������� � ��������, �� � ����� ��� ��������� �����������. ��-�� ����� ������������� ������ ���������� ��� ����������� ������ 9�� ������� (���� �� �� ��������� �� �������� 18 ���). - � �������� �������������� ������ �������� ������������ TV4, � ����� ���������� � �������, ������� ������������� ������������ ���. ����������, 16 ����� ������ ��������������� ������ �� �������, �� ���� �� ��� � ����� ����� ��. �������, ������, �������, ������ � ������ ����� ���� ���������� � ��������� ������� � ���. - ������ ����������� ����� ������� ����� ������������� �������, ������ � ����������� � 1�� ������ 2007 ���� ���������. - � 21 ������ � ������ - ��������� ����� �������� ����� ������� � ������� ��������, �� ���� ��������� � ���������� - ��� ������ �������� � ������������ ������ 2008 � 32 �������. - ������� ����������������� ������ ���� ��� ������� �� ��������� 11 ������ - ����������, �������, ���������, �����������, �����������, ���������, �����������, ��������, ���������, ����������, �������� � �����������. ����� ��������� ���� ��� ������� ������������� ��������. - ���� �� ���� �������� ������� �������� ����������, ����������� ������� � �������� 2004 ���� � ������� Young Talent Team. - ��� ������ ������ �� ������� �� ����� ������� ������� � ������������ �������. - ������ "Neustrasivi ucitelji stranih jezika" � ������ "Ucimo strane jezike" ("����������� ������� ����������� ������" - "���� ����������� �����" ����������� ������ � ������ �� ��������, ����������, �����������, ��������, ���������, �����������, ������� � ��������. ������ ������ (2 ������, 7 ����) ���������� �� ��������, � �� ����� ��� ������ ����� �������������� � �������� (24 ������, ����� 100 ����). ����� ����, ����� ���� �������� �������� - ����� �������. - ������, ��� ��������� �������� ����� ������� ������� � ��������, ����� �������� �� ���� ����������������� ��������� ������� �� ��� CD ������ ���������������, � ������������� �����, ������ � ������� ���������� ������� 24-� ������ ������ �������, ��������� RTP ��������� ������, �������� ����� ���������� � ����������� �� ��������� �� ��������. - ��������� ���������� "Povestea Mea" ����� ������ ��������� ����� �� ��������. ������� ����� ��������� � �������� ������ ����, �������� �����, ����� ������� � ���������� ������. - ����������� ����� ���� �������� ������ ������� � ������������ �����. - junioreurovision.tv � ���� ���� ��� ���������� ������� TVR � ���, ������� ������������ ���� �������� �� ����������, � ����������� ���� ��� �������� �� ���������� � ���������. �� ����������� ����� �������� ������� ������ ������ ���������� ����������� ����������� ���������� Octoshape. - � ���� ���� �� ���� ������ �� ����� ������������ ���������� � ������� ������ ������ � ��������� � ������ ���������. � �������� ���� ������������ ������ � ������������ �����������. - ����������� ���� �������� ������� ����� �������: �� ���� ���� �������� ������� ������ ���� �����. - ������, ����������, �������, ������� ��������� �������� ����� ������������ �������. ������� �� ������, ��������, ������, ������, ����������, �������, ������, ������� (� Auryn) � ����� (��������) ��������� �� ������� ���� 1 ������, ������, ������ ����� ������ ������ ������� ������� ����������� �������. - � ���� ���� "������ �������" �� �������� �������� �������� ������� - ��������. TVR �������� �������� �������, ������ �� ���� �� ����������� �� ���� �������� ��� (�������� ���� �������� �������� ���������� ��������� � ������� ����������) � ������ �������� ������ �������� ���� ���� ������ ������� TVR. �������� ������� ������ ������ ����, ��������, �� ������ ���� �������� �������, ����� ������ � ������� �����, ��������� ���. - � ����� ������ ������! - ���� �������� ��������. "������� ����������� ����������� ���� �����, ������� ��������� ������������ ����������� TVR ���������� ���� ����� �������� ��� ������� - ������, ���� � �������� ����� ������. � ��������� ������� � �������� �������� ������ - "� ����" ����� ���� ����� � �������� ���� � �������, ���������� � ������", ������ �����-�����. - ����� ������������ ����� ������� ������� � ������������. - �� ����� ���������� ��������� �������� ��������� �������� � ����� �������� (�� ������� �� ���� ������, ��������� ��������� �����) � �������� � ����� �����������������. ������� �� ��������� �������� � ���� ��������� ����� �������, ����� ������������ ��������� ������ �� ������ "Doruletul Junior", ���� �� ��������� �����, ����� � ����� ������������ ������, � ��� �� ������ ����������. � ������� �� ����������� ����������� ��������� � �������� �� �������, ������� ������� �������. ����� ��� ������ ������� ��������. - �������� ��� ��������� ������ ����� (��������� 17 �������), ����� ���� � �������� ������ ������� � �������� (��������� 6�� ������) � ������ ����� � ���� ����� �������. ��������� ������� ���� ��������� ���, ��� "��������� ��� ��������� �� ��� ������ ����!". ������ ������ ���������� �� �������� �������� �����������, ��������� ����� ���������� ����������� � 2004 � 2006 �����. - ��� ������� ��� ���������� ���, ����� ���� - �������������� ����������, ������ ������� - ������������� �������, ���� �������� - ���������� �����, ���������� ������ - ���������� �����. - ������ ����� ������ ���� ������������� �� ������� (12 ���) � ������ (8 ���). ������������� ���� ����� ������ �� ������������� �����, ����� ��� ��������������, �������� � ���������. - ���������� ���� �� ������� ������������� ����� ��������� ����������� ������� ������ �� ����������� �����. ������� �������� ��������� - �������� ������� �������� � ��������, � ������ �����, �������� ������ ������������ ������� �� ������� ������� �� �������. ����� 5000 ��������, �� ��� 3000 �� �������� ������������ ������� �� ��� � Sala Polivalenta - ��� ����� ��������� ��� � ������� ��������. ������ ��������� 300 �����������, � ����� �� ��� ������� 600 ������� ������ �����. - � ���� �������� �������� ������� ������� 15 ����� - �������� ��������� ��������� ���������� ����������, � ��������� ������������� ���������������� �����, � ����� ����� ���������� - ������������� ������� �� ����������� 2006. � �������� ��� ����� "�������" ����� �����-������ � ������������ ��������� ������, � ����� ��������� ���� ���������� �������������� ������� �� ������� ��������� �������� �����������. - ������ ������ ��������� ���� �����-�������������� "�� ������" �� ����� ��������-����, ���� ���������� �������������, ��� ��� �������� � ������ ���������� "��������� ��������". - ����� ��� ����������� ���� ������� � ������ ��� � ���������� ��������� ��� � ������� 10 ����� ����� ���������� ���� �����������. ������� �������� ������� ���� ���������� �� ��� Congratulations � 2006 ���� � ������������ �� �������� ����������� � 2010 ����. - ��� ������, ���� �� ��������� � ���������� ������ �������� ��������� ���� ��������� �� ��������� ������ �� ����� ������ ���������, �� ������������� ������� ��������. �����������, ��� �� ������ ��������� �� ��������, �� ������� �� ��� �� ����-����. ��-�� ���������, ��������� ������� �� ������ �������� ����� ������ � ��������� � ��������. - C �������� ����������� �� ����� ��������� ����-������ ���� ������, ������ ���������, ����� ����� � ������ ������. ����������� ������ - ������ �������, ������� �� ������ ������� �������. - ��������� �������� ������ ���: ������ ���������, ���� ������, ����� ��������, ����������� ������, ������ �������, � ����� ��� ������� �� ������ ��������� � �������� ������������ ���������. - ���������� ������������ HRT �� �������� ��� � ������ ����� �� �������� ������������ ������, ������� ��� ������ ����� �� ����������� HRT Plus. ������ ����� ��� ��� ����� �� �������� ������ �������� � 2006 ����. �������� ����� � 10 ����� ����������� �������, HRT ������ ������ ���������� �� ������� � ��������� ����. - �� ��������� � ������ ������� 4.45 ��� �������� � ��������� 27.4% � ����� 6.2%. ��������� � ������� �������� �������� ���������� - ������ ������ ������� � �������� ���������� ���������� �������� � 2006 ����. ����� �������� ������� ����� ������� �� ��������� � �������, �������, ������ � ����������, � �� ����� ��� ���������� (739 ���. (4.9%/10.6%), ������� (870 ���), ������ � ������, ��� ��� � � ����������� ����� �������� �������� ����� �� ��������� � 2005 �����, ������ �� ���� ������. � ����������� � 2006 ���� ����� �������� ��������� �� 2�� �� 3� �����. - �������������� ����� � �������������� ������ "������������� ��������� ��� ��� ���� �������� �����������" ������� ������������� ������ ��� "������ ���������� ������" �� ��������� "Erasmus euromedia awards" � ����. - ������ ��������� ������� ������� ������� � �������� ���������� ����������� 2009 � ������. - �� ���� ������ ��� �������� ����������� ������� �� ������ ���-�� 2007, ����������� ������������ �� ���������� ������ � ����������� ������� �������, �� ���� �������� ��������� �������� � ����������� �� ���������� "������", � ����� ��������� ������ ����� �� ������������ ������� � ���������. Junior Eurovision 2005 ESCKAZ pages are located here and you can watch the video here. Flashback - participants of 2005 event five years later - here. - Joint team of Flemish broadcaster VRT and Walloon broadcaster RTBF won hosting rights over four other countries, among them Croatia and the Netherlands. The decision was announced on 4th of March 2004. The venue, Ethias Arena in Hasselt has been confirmed on 22nd November 2004. This is second biggest venue in the history of the contest after Minsk Arena. - Steve De Coninck - De Boeck was production manager of the show and in September 2005 was elected as chairman of JESC Steering Group. - The two Belgian broadcasters also jointly worked on the organization of the national preselection Eurokids 2005, though VRT was mainly responsible for the international show and RTBF for national selection. - "Let's get loud" was the motto of this year's Junior Eurovision Song Contest, a rallying cry for the new generation of young Europeans who want to celebrate and watch a brilliant show. - The �singing girl� has for the occasion been placed inside a circle together with a red square. The 2005 logo symbolizes a contemporary and self-aware European youth who is not afraid to voice its ideas. - Students at the Lucas Faydherbe Art School in Mechelen were invited to design the trophy. The final design has been created by Liesbeth Pieters, a third-year design student. - The official participant list has been delayed and despite the deadline of 30th of June it has been released only on September 13th. As in 2004 the maximum was set on 20 countries. - Last year debutants France (programming difficulties, too low viewing figures for France 3, France 4 also rejected participation) and Switzerland (high costs of participation for the one region broadcaster RTSI and no interest from other local broadcasters to get involved and share the cost), as well as Poland (low results) have withdrawn from the contest. - Russia and Serbia & Montenegro joined the competition. Ukraine, Lithuania (featured in preliminary list together with Poland but without Russia), Ireland, Georgia and Monaco have also been conducting negotiations. However, Georgian broadcaster became full member only on 6th of July and participation deadline has passed a week earlier. Officials of Monaco TV rejected proposal of head of delegation to take part due to scheduling problems and tough citizenship rules. 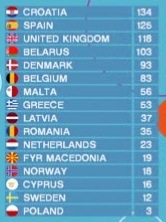 - For the 3rd year in a row Greece was drawn first to perform. - Being late with the subscription to the contest Russian entry has been selected internally. However, before selecting "Doroga k solntsu" RTR has comissioned songs "Ivan Kupala" and "Nahodka- Moskva" which were ineligible as they were written by adult songwriters and "Ivan Kupala" has also been performed at various other festivals. It is believed that these changes of entry have lead to the delay of official CD. - "Doroga k solntsu" was written by son of many-times Eurovision Song Contest lyricist Karen Kavaleryan Artyom, and composed by grand-son of another Eurovision Song Contest composer Kim Breitburg Jr. However, even if two kids-authors were present in Hasselt, against the rules they were not involved in stage presentation. Stefan Krstevski, writer of Macedonian entry, has appeared on stage. - Band Rockids, featuring JESC 2003 entrant Bubu, has been disqualified in Romania, as rules at that time prohibited participating in JESC twice. - Dutch entrant Tess was permanently living in Putte, Belgium, though being Dutch citizen. She had released both music video and English version of her entry. - Belgium and Serbia have filmed special preview music videos, Russia has presented pseudo-concert video. - More than 2000 applications have been received for the participation in Junior Nationaal Songfestival 2005 in the Netherlands and 1400 in Sweden. - Cyprus has withdrawn it's selected entry "Tsirko" by Rena Kiriakidi at the heads of delegations meeting after questions arose over the song's origins, with complaints stating that the song they had chosen appeared to be plagiarism. According to the rules of the show replacement of the song with runner-up was not possible. Cyprus was still broadcasting and voting in the show. - Entrant of Cypriot preselection Christos Milordos later took part in adult ESC 2011. - The event was also broadcast in Ukraine, Albania, Portugal, Australia and via international satellite channels. - For the big part of Russia outside Moscow time zone a dress rehearsal of the show has been aired in the evening without possibility to vote in the show, while recorded voting part was aired on the next day. Same schedule applied to 2006. - Tickets for the show went on sale on 1st of September, 8,500 tickets were available, priced 20, 30, 35, 40 and 50 euros. Budget of the contest was appr. 1/9 of adult Eurovision. - Marcel Vanthilt and Maureen Louys hosted the event (announced on 13th of October). Maureen was Belgian spokesperson at ESC 2007 and 2009. Several Scandinavian countries issued complaints regarding dress of the hostess with open back. - Maria Isabel, took care of the interval act and sang two songs, Antes muerta que sencilla and Pues va a ser que no. Winner of 2003 Dino also attended the show, where his sister was taking part. - Bungee jumpers from Swedish Cirkus Cirkor were involved in opening of the show, and interval act featured performances of young acrobat Vladik Myagkostupov and the famous Cirque du Soleil. - Nicole & Hugo and Milk Inc were warm up acts. - Junior Eurovision week featured opening at Radisson SAS hotel (missed by Russian delegation arriving late), "Friendship classes", Eurodisco and Euroclub situated at the Blue Olive, a trendy bar and restaurant in the heart of Hasselt, bus tour in Brussels included visit to the Grote Markt/Grand Place, Brussels' main square, lunch at "Brouwers", visit to a museum (Chocolate, comic books or musical instruments' museum). - Some countries have suggested to EBU to change the way results of Junior Eurovision are announced. With purpose not to harm young artists it is suggested to announce only 3 top finishers of the contest, without announcement of places and points of other participants, however this was turned down by JESC Steering group. - The new televoting procedure, during which the 1, 2, 3, 4 and 5 points are being given by the hosts instead of the spokesperson, has been positively evaluated. - About two hours from the kick off of the show, the odds of Bet365 stand as follows: Latvia (5.00) Malta (5.00) Spain (5.00) Romania (6.00) Croatia (7.00). Belarus was 3rd from the end with 15.00. A week prior to the contest favourites were Spain and Sweden. - Around 21 million people watched the show live (expected figure was 80 mln) with biggest viewing figures coming from Spain 5.744.000, Russia 4.083.400 and Romania 2.458.000 viewers. 1.470 mln followed show in Greece, 1.031 mln (13.4%) watched it in The Netherlands, 1.020 in Sweden and 1.014 mln in Flanders. Live broadcast of the show on British ITV2 had followed only 171.000 viewers, though in delay show has been watched by 700.000 on ITV1. 1.258 mln followed show in Australia. - The stage was the largest ever used for the Junior contest and was lit by 100,000 LEDs to create the look and feel of a huge rock concert. The height of the stage is 14m. Once again, the artists� Green Room was situated amid the audience. - There were 330 moving lights on stage, 40 strobe lights will create a unique atmospheres for each song, 60 moving lights were in the audience. 100km is the total length of all cable used. - A total of 170 journalists were accredited. A total of 350 foreign delegates were accredited. The team of VRT / RTBF consisted of 250 people. - Public bus transport in Hasselt was for free for accredited delegates and press and taxi drivers in Hasselt have the special tariff of 7 Euros for them. - More than 300 Junior Eurovision banners promoted the event in Hasselt. More than 700 posters were inviting guests of Hasselt�s hotels, restaurants and cafes to the show. - Even Manneken Pis, the most famous Belgian of all, was dressed up for this event. - Kseniya has written her winning entry "My vmeste!" herself. Arrangement has been done by composer Sergey Zhdanovich and singer Sasha Nemo. Costumes design made by Ivan Aiplatov, on the stage Ksyusha was joined by 10-years old Polina Zhdanovich and 8-years old Vasily Rainchik jr.
- At the last moment due to the request of organizers of the show Kseniya Sitnik was forced to change her stage dress. She had to get rid of boots and cover belly with t-shirt. The new parts of costumes have been bought in Belgium or borrowed from other members of the group. Already in 2004 there have been protests considering ballet act behind 2004 Belarus JESC entry too provocative. - Kseniya Sitnik's mother and producer Svetlana Statsenko also produced Belarus acts at JESC 2004, 2006 and 2008, Kseniya was also present at 2008 contest as member of Belarus delegation. - Former JESC entrants Giorgos Kotsougiannis, Caroline Forsberg Thybo and Nika Turkovic returned on screens as spokespersons. Spokespersons of Serbia and Spain were older than 16. - junioreurovision.tv has recorded traffic from 111 countries, including non-competing nations such as France and Poland as well as countries as far afield as the USA, Ghana, Benin and the Ivory Coast. In addition to it informative Dutch language site junioreurovision.be was functioning as well. - Denmark, Norway, Sweden, Belgium, The Netherlands, Spain, Greece and Serbia have released compilation album of their entries. Artists from Belarus, Norway, UK, Macedonia, Russia (as Volshebniki Dvora and Geroi), Latvia, Denmark, Spain, Croatia, the Netherlands, Belgium, Romania (as member of La-La Band) have released at least 1 album - which is record figure for the contests. Malin later took part in adult Eurovision preselections. C������� ESCKAZ � ������� ����������� 2005 �� ������ ����� �����, ����������� �����. Flashback - ��������� �������� ����������� 2005 ���� ��� ������ - �����. - ���������� ������� ����������� ������������ VRT � ��������� RTBF ��������� ����� ���������� ��������, ������ ������ ������, ����� ������ ���������� � ��������. ������� �� ���� ���� ��������� 4�� ����� 2004 ����. ��� ���������� �������� Ethias Arena � ��������� ��� ���������� ����������� 22�� ������ 2004. ��� ������ �� �������� ��� � ������� ��������, ����� ����� �����. - ���� �� ������ - �� ��� ��� ��������-���������� ���, � � �������� 2005 ��� ������ ������������� ���������������� ��������� ��������. - ��� ����������� ������������ ��������� ����� �������� ��� ����������� ������������� ������ Eurokids 2005, �������� �� ��, ��� VRT ������ ���� �������� �� ������������� ���, � RTBF �� ���������� �����. - "������� ������" ���� ������� �������� ����� ����, ������ � ������ ��������� ������� ����������, ������� ����� ����������� � �������� �������� ���. - "������ �������" �� ����� ������ ���� ���������� � ����, ������ � ������� ���������. ������� 2005 ���� ������������� ����������� � ��������� � ���� ����������� ��������, ������� �� ������ ����������� ���� ����. - ��������� �������������� ����� ������ ��������� � ������� ���� ���������� ����������� ������ �����. � ����� ��� ������� ����� ��������� 3�� ����� ������ ������. - ����������� ������ ���������� ��� �������� � �������� �� ������� ���� 30�� ���� ��� ����������� ������ 13�� ��������. ��� � � 2003 ����, ��� ���������� �������� � 20 �����. - ������������ ��������� ������� (��������� � ������ ��������, ������� ������ ������������ �� France 3, France 4 ���� ��������� �� �������) � ��������� (������� ������� ������� ��� ������������ ������ ������� ������ RTSI � ����� ������ ������������ ������������), � ����� ������ (������ ����������) ������� � ��������. - ������, � ����� ������ � ���������� �������������� � ����. ����� ���������� �� ������� ���� �������, ����� (������ � ��������������� ������ ������ � �������, �� ��� ������), ��������, ������ � ������. ������, ������������ ������ ����� ������ ������ ��� ������ 6�� ����, ����� ������ ����� ����, ��� ������ ������� ���� ������ ������ �� �������. ����������� ���� ���������� ������ �������� � ����������� ����� ��������� ������� �������, ���������� �� ������� ������� ����������� ������������ � ����� ��������. - ������ ��� ������ ������ �������� 1� ����� �� ���������� ������� �����������. - ������� ������ ����� ������ �� ������� � �������� ������ ������� ������ ������������� ���������� �������. ������, �� ����, ��� ������� "������ � ������", ��� �������� ����� "���� ������" � "�������-������" ��� ������� � ���, ������� ��������� �������������, ��������� ���� �������� ��������� �������� � "���� ������" ����� ����������� �� ��������� ������ ����������. ��������, ��� ������ ��� ����� ����� � ������� � �������� � �������� ������������ �����. - "������ � ������" ���� �������� ����� ������������� ��������� ����������� �����-��������� ������ ���������� �������, � ������ ���������� ����������� ����� �����������-�������. �������� �� ��, ��� ��� ��-������ �������������� � ���������, ������� ��������, ��� �� ��������� ������� � ����������� ���������� �����. ����� ����������� ����� ������ ��������� �������� �� �����. - ������ Rockids, ���������� ����������� 2003 ����, ���� ������������������ � �������, ��������� �� ��� ������ ������� �������� �� ��������� ��������� ������� � ���. - ������������ �� ��������� ���� ��������� ��������� � ����������� ������ �����, �� �������� ���������� �����������. ��� ��������� ��� ����, ��� � ���������� ������ ����� �����. - ������ � ������� ����� ������-���������� �� ���� ���������� �����, ������ ����������� ������-���������� �����. - ����� 2000 ������ ���� �������� �� ������� � ����������� ������������ ������ Junior Songfestival � 1400 � ������. - ���� ���� ���� ������ - ����� "Tsirko" ���� ��������� �� ������� ���� ���������, ����� ����, ��� �������� ������� �� �������������� �����, ��������� ������ �� ��, ��� ��������� ���������� �������� ���������. �������� �������� �������� ������ ����� �� ������� ������� ������ �� �����������. ���� ��� ����� ������������ � ��������� � ���. - �������� ������������ ������ ������� �������� ������� ���� ���������� ��������� ����������� 2011. - ������� ����� �������������� � �������, �������, ����������, ��������� � �� ������������� ����������� �������. - �� ������� ����� ������ ��� ���������� ��������� ���� ������� ���� �������� ������ ����������� ��������� �������� ��� ����������� ���������� � ���, � ������ ����������� ��������������� �� ��������� ���� �����. �� �� ����� ����������� � � 2006 ����. - ������ �� ��� ��������� � ������� 1�� ��������. ����� ���� �������� 8500 ������� , �� ����� 20, 30, 35, 40 � 50 ����. ������ �������� ��������� �������� 1/9 �� ��������� �����������. - �������� ��� ����� ������� �������� � ������ ����� (��������� 13 �������). ������ ���� ��������� ������� �� �������� ����������� 2007 � 2009. ��� ������������� ����� �������� ������������ ������� ������� � �������� ������. - ��������� ���� �������� ���������� �������� ���� ��������. - ����� �������, �������������� �������� ���� ��������� � ���������, �������� ��� ����� Antes muerta que sencilla � Pues va a ser que no. ���������� 2003 ���� ����� ������������� �� ���, ��� ��������� ��� ������. - � �������� ��������� �������� �� ��������� Cirkus Cirkor, � � ��������� - ������� ������� ������ ����������� � ���������� Cirque du Soleil. - � ���������� ����� ��������� �������� � ����� Radisson SAS (������� �� ������ �������� ������), "����� ������", ��������� � ��������, ������������� � Blue Olive, ���� � ��������� � ������ ���������, ���������� ��� � �������� � ���������� Grote Markt, ����������� ������� ��������, ��������� � Brouwers, ������� � ����� (��������, �������� ��� ����������� ������������). - ����� ����� �� ����������� ����������� ����� ������� ���. - ��������� ����� ���������� ��� ����� �������� ���������� ����������� ���. � ����� �� �������� ���� ���� �������� ���� ���������� ��������� ������ ���� ������ ��������, ��� ��������� ���� � ������ ��������� ����������, ������, ��� ����������� ���� ��������� ������������. - ���� ���������� ����� ��������� ��������� ������, �� ����� ������� 1, 2, 3, 4 � 5 ������ ������������� ���������� � ������� � ���������� �������� ������ ���������. - �������� �� ��� ���� �� ������ ��� ����������� ��������� ������ �� ��� ����������: ������ 5/1, ������ 5/1, ������� 5/1, ������� 6/1, �������� 7/1. �������� ���� ������� � ����� � ������������� 15/1. �� ������ �� �������� ���������� ���� ������� � ������. - ����� 21 �������� �������� ��������� �� ��� (�������� ���������� 80 ���). ����� ������� ��������� ������� �� ��� � ������� 5 744 000, ������ 4 083 400 � ������� 2 458 000 ��������. 1.470 ��� �������� ��� � ������, 1.031 ��� (13.4%) ������� �� ��������� � �����������, 1.020 ��� � ������ � 1.014 ��� �� ��������. ������ ���� �� ���������� ���������� ITV2 ��������� ���� 171 ��� �������, ������ 700 ��� ���������� ��� � ������ �� ITV1. 1.258 ��� �������� ��� � ���������. - ����� ���� ���������� �� ���������������� �� ������� ����������� � �� �������� ����� 100 000 LED ��� �������� ��������� ��������� ���-��������. ������ ����� ���� 14�. �����, ���� ��� ��� �������� ������������ ������� ����������� ���������. - ���� ������������ 14 �����, ������� ���� ��������� ���� (21 ����), ���� ���������� ���� (15 ������), ���� ������� (9 ������) � ��� ������������ ���������. - �� ����� ���� ������������ 330 ����������� ������������� ��������, 100 ���� ����������� � ���������� ����. ����� ���� ������������ 100 �� ������. - �� ������� ���� ������������� 170 ���������� � 350 ���������. ������� VRT/RTBF �������� �� 250 �������. - ������������ ��������� ��������� ��� ���������� ��� ��������������� ��������� � ������, � �������� ���������� �� ����������� ����� � 7 ���� �� �������. - ����� 300 ��������, ������������� ������� ���� ��������� � ������. ����� 700 �������� ���������� ����������� ������, ���������� � ���� ��������� �������� �������. - ���� ���������� "�������� �������" ��� ������� � ����� � ���������� �������� �����������. - ���������� ����� "�� ������!" ������ �������� ����. ����������� ������� ���������� ������ �������� � ����� ���� ����. ������ ��� ������ �������� ��������� ����������� �������� ���� ��������. � �� ����� ����� �������� 10-������ ������ �������� 8-������ � ������� �������-�������. - � ��������� ������ �� ����������� ������������� ��� ������ ������ �������� ������� ������ ��� �����������. �� ���� ������� ���������� �� ������� � �������� ����� ������. ����� ����� ������� ���� ���� ����������� � �������, ���� �������������� � ������ ������ ������. ��� � 2004 ���� ������� �������� �� ��������� ����������� ����������� ������� �� �������� ������� ���������������. - ���� � �������� ������ ������ �������� �������� ����� ���� ���������� �������������� ������ �� ��������� 2004, 2006 � 2008, ������ ����� �������������� �� �������� 2008 � ������� ����������� ���������. - ������ ��������� �������� ������ ����������, ������� �������� ���� � ���� �������� ��������� �� ������ � �������� ��������� ����� �����. �������� ������ � ������� ���� ������ 16 ���. - � 2005 ���� ������� ����������� ��� ������������� ������ 12 ������ ��� ����, ����� ������������� ������������� ����� � ������, ���� ��� ������� ���� ������ ��� ���� �����. - �����, ��������, ������, �������, ����������, �������, ������ � ������ ��������� �������� ����� ������������� ������. ������� �� ��������, ��������, ��������������, ���������, ������ (� ������� ���������� ����� � �����), ������, �����, �������, ��������, �����������, �������, ������� (� ������� La La Band) ��������� �� ������� ���� 1 ������ - ��� �������� ��������� ����������� ��� ���������. ����� ������� ��������� ������� � ������� �� �������� �����������. Here are ESCKAZ pages on Junior Eurovision 2004, the video of the show can be seen here, Flashback - participants of 2004 event after four years - here, and now some known and less known facts on the competition. - The contest was first assigned to British broadcaster ITV that planned to held it in London on November 20, then moving venue to Manchester. After ITV has dropped the hosting plans in May (due to schedule problem and bigger budget demands, when EBU could provide only 600 thousands pounds), on 1st of June show has been given to previous year winning country Croatia. However, as it appeared that the venue in Zagreb HRT needed for the show has been already booked for the desired period on 17th of June contest has moved to Lillehammer, Norway. - 18 countries have sent their representatives: Belarus, Belgium, Croatia, Cyprus, Denmark, France (debut), Macedonia, Greece, Latvia, Malta, Netherlands, Norway, Poland, Romania, Spain, Sweden, Switzerland (debut) and UK. 4 countries: Croatia, Denmark, Norway and Sweden got to the final automatically, others have used their 3 year agreement. Germany, Ireland and Israel were in preliminary lists but had withdrawn later, while Switzerland got in. Germany (NDR) declared that "no professional believes in success of this concept under German market conditions". Final list of countris was announced on June 30th. - Host of this year contest were Nadia Hasnaoui (who later appeared as host of Eurovision 2010) and Stian Barsnes Simonsen (announced on 23rd of September) Later, they also hosted MGP Nordic 2007) Guest of the show was band Westlife performing Ain't That A Kick In The Head. Originally planned performance of ESC 2004 winner Ruslana didn't take place. - Contest theme was an atmosphere of dark, clear Nordic winter nights, sparkling stars with the light reflected in the water and snow crystals in a winter wonderland. - "Friendship and Fun" was the motto of the contest, and with that in mind, the junior stars were given the chance to make friends with the pupils of Lillehammer in so-called "Friendship Classes"
- EBU made an exception allowing Swiss entry "Birichino" despite the fact that Demis Mirarchi won the children's song festival Mara & Meo with this song in 2002 and that it was released on the Mara & Meo compilation album in 2003 on the grounds that as Switzerland had no time organizing national selection Mara & Meo winner was chosen with the same entry. The song however was also co-written by adults - Alessandro Maraniello and E.Rutherford. There were doubts about Cypriot entrant as well, who may have released solo CD earlier. - French entry has been chosen at the national preselection which included older hits performed by children. Future winner Thomas performed songs Telephone - Un autre monde and Jacques Brel - Amsterdam at this, later facing the task by writing himself the JESC entry. - Spanish TVE organized auditions in 12 cities of country. Of the 3,000 candidates, 150 proceeded to the second round, then reduced to 80 and finally after all 80 attended Academia to 48 in the four galas of Eurojunior. Only 7 finalists though sang original entries, two each. - 2006 Maltese entrant Sophie was officially member of Young Talent Team and sister of one of other members, but had to drop out and had another entry in NF. She accompanied the group as guest to Norway. - Nika Turkovic has been chosen to the NF with two entries, so she had to give second one, Mogu, to be performed by Mia Kordic. - Semifinal winner in Belgium Bess has been disqualified as it two of four stanzas of a song recorded under the same title in 1991. - 4 of the participants of Latvian preselection - Miks Dukurs, Ralfs Eilands, Sabine Berezina and Kristina Zaharova took later part in adult preselections. Martins Talbergs enters JESC stage for the second time, as he was backing performer in 2003 for Dzintars Cica. - National Dutch preselection Junior Songfestival final has reached the audience of 1.197.000 viewers. Record for the period 2003-2005 when the contest was broadcasted on Nederland 2 channel. Nicky and Klaartje won after being added to final only as jury wildcard. - 1600 entries were received to take part in Danish preselection, 1400 - in Swedish, more than 1000 in the Netherlands. In Belgium French language broadcaster RTBF has been responsible for the preselection. - Polish national final has been broadcasted recorded with winner decided by jury and it's participants were invited from laureates of 3 major festivals. - Belarus, Poland, Cyprus, Belgium and France have released music videos. Compilation albums of Dutch, Norwegian, Swedish, Spanish, Dutch, Belgiand, Croatian and Greek finals have been released. - International final has also produced record figure for the Netherlands - 1.149.000 viewers (16.2%). However, biggest number of viewers have been brought to the contest by Spain 5.912 mln (JESC has beaten match between Real and Barcelona broadcast, 39.1% share), Sweden 1.465 mln and in UK 1.9 mln watched the show in delay on ITV1 (221 thousand live on ITV2). Total audience of the contest was 23 mln viewers. - Tickets for the show costed 30 or 42 euros. Around 7000 viewers were following show in the Hakons hall. - Belarus broadcaster BTRC has been the only broadcaster of JESC that has been producing special weekly Junior Eurovision diaries. 11 series of them have been released. - Dancers of Limelights, Ellika Skogh, Nathalie Eklund and Cheena Gutenberg Holmes from Lasse Kuhlers dansskola have stuck in airport because of thunderstorm, thus girls had to rehears with local stand ups during their first rehearsal. - EBU coordinator Svante Stockselius was said to be unhappy with the Belarus act which included four short skirted ballerinas. According to the rules, lyricist of the song Vlada Suslenko took part in presentation. - Josef Agius Degabrielle from Malta is the second participant of JESC to enter the stage being aged over 16 - he was 16 years and 12 days old on the moment of performance. 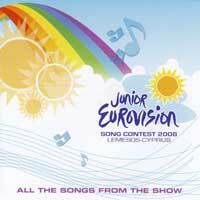 - Cypriot Marios Tofi has in 2006 became the first JESC artist to took part in the national final for adult ESC. He has finished 2nd. 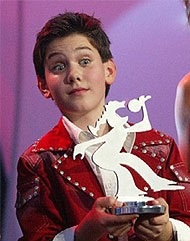 He was also the only foreign JESC artist invited to Spain for the victory celebration show a week after contest. - Tickets for the show have been priced at Euro 30 (250 NOK) and Euro 42 (350 NOK). - On the contest day Cory Spedding (UK) and Maria Isabel (Spain) were bookmaker's favourites with 11/4, Martina Siljanovska (FYR Macedonia) and Noni Razvan Ene (Romania) were at 11/2. Future winner Maria Isabel's odds have risen during Eurovision week from 11th place to shared 1st. One week before the show leaders were Romania, Macedonia and Latvia. - 14 cameras have provided the TV footage, the show required 3,000 m of video cable, 1,200 m of camera cable were used, 50 microphones were needed, there will be 450 spot lights illuminating the stage, the show used 3,000 m of sound cable, 250 dimmers controlled the light in Haakons Hall. - 250 people were working in the production team, 150 of these being from the host broadcaster NRK, 10 members of the EBU were working on the show. - 2003 winner Dino was special guest of the show and awarded the trophy to his follower. - TV show Los Lunnis character Lucho has appeared as Spanish spokesperson. It was the only case when puppet was assigned this job. He also was commentator of the show in some years. Kalli and Thea from 2005, Anne from 2003 have appeared as spokespersons for their countries, as well as Kristina Zaharova for Latvia. invited onto the stage to say hello, while some of them offered song performance. - During Euroweek participants visited local theme park Hunderfossen with troll castle and Olympic park, bobsleigh track. - Centralized pan-European televoting platform designed and operated by Digame.de, an affiliate of Deutsche Telecom had been implemented for the first time at JESC. - Again, Polish entrant Dominika Rydz had to make a statement regarding their last place, saying: "Our presence at the second JESCin Lillehammer was the adventure of our life, an unforgettable experience! ... Despite the position we took there, we are happy with our performance ... There are many reasons for our final position in the contest. First of all, our song was not a hit..."
- Winning at the age of nine years, ten months and 16 days old, Maria Isabel is and will remain the youngest person to win the contest. - Backing singers for Maria Isabel were her fellow Eurojunior participants Anabel (10, Marzagan-Gran Canaria), Carolina (11, Bornos-Cadiz), Sara (11, Cangas de Onis-Asturias) and Alba (12, Jerez de la Frontera-Cadiz). Her song has been produced by Mar and Carlos Quintero, presentation staged by choreographer Poty. - Maria Isabel has been the most successful of JESC winners. Her contest single has been released by Vale Music and partners in several European countries inclduding France (6th in charts), Switzerland (8th), Belgium (36th), The Netherlands, Scandinavia, Poland, Bulgaria, debut album No me toques las palmas que me conozco has been sold in more than 400.000 copies (4x platinum) and releases in US and Latin America followed. Her 2nd album has also reached top spot in national chart and went triple platinum. At the moment released 5 albums. - ���������� �������� ���� ������� �������� ���������� ������������ ITV, ������� ����������� ��� ����������� � ������� �� 20 ������, ����� �������� � ���������. ����� ���� ��� ITV ��������� � ��� �� ������ ����������� ��� (��-�� ������� � ������ �������� � �������� ���������� ��������� ����������, ����� ��� ������ �������� ������ 600 ���. ������), 1�� ���� ����� ���������� ���� ������ ��������. ������, ���������, ��� ��� � �������, ��� HRT ������ �� ������������ ������� ��� ��� ������������ �� ����������� ������, � ������� 17�� ���� ������� � ����� ��� ��������� � �����������, ��������. - 18 ����� �������� ����� ��������������: ��������, �������, ��������, ����, �����, ������� (�����), ���������, ������, ������, ������, ����������, ��������, ������, �������, �������, ������, ��������� (�����) � ��������������. 4 ������ - ��������, �����, �������� � ������ ������ � ������ �������������, ��������� ������ ���������� ���� 3� ������ �������. ��������, �������� � ������� ������� � ��������������� ������, �� ������� ���������� �� �������, � ��������� �������� ���� ������. �������� (NDR) �������, ��� "�� ���� ������������ �� ����� � ����� ������ ��������� � �������� ��������� �����". ������������� ������ ����� ��� �������� 30�� ����. - �������� ��� ����� ���� ������� (������� ������� ����� ������� ��������� ����������� 2010) � ����� ������� �������� (��������� 23�� ��������). �������, ��� ������� � MGP Nordic 2007. ������ ��� ����� ������ Westlife, ����������� Ain't That Kick In The Head. ����� ��������������� ���������� �������������� ����������� 2004 ������� � ����� �� ����������. - ����� �������� ���� ��������� ������, ����� �������� ������ ����, � ������ ��������, ���� ������� ���������� � ����, � �������� ����� � ������ ������. - "������ � �������" ���� ������� ��������, � � ����� � ���� ���������� �������� ���� ���� ����������� ����������� � ��������� ��������������� ���� �� �.�. "������ ������". - ��� ������� ���������� �������� ����������� ����� "Birichino" ��� ��������, �������� �� ��, ��� ����� ������� ������� � ��� �� ��������� Mara & Meo � 2002 ���� � ��� ���� �������� �� �������� ����� ��������� � 2003 ����, �� ������ ����, ��� � ��������� �� ���� ������� �� ����������� ������������� ������ � ���������� Mara & Meo ��� ������ � ��� �� ������. ���������� �����, ������, ���� ���� �������� - ���������� ���������� � �.���������. ���� �������� � ���������� ������������� �����, �������, ��������, ����� �������� ������� ������. - ������������� ������� ���� ������ �� ������������ ������, ��� ����������� ������ ����. ������� ���������� ����� �������� ����� Telephone - Un autre monde � Jacques Brel - Amsterdam, ������� ������� ������ �������� ����� ��� �����������. - ��������� TVE ����������� ������������� � 12 ������� ������. �� 3000 ����������, 150 ���� ������� ��� ������� �� ������ ������, ����� �� ����� ���� ��������� �� 80, � ����� ����, ��� ��� 80 �������� ��������, ���� ������� 48 ���������� ��� 4� ����������� Eurojunior. ������, ������ 7 ���������� ��������� ������������ ����� - �� 2 ������. - ��������� ������ 2006 ���� ���������� ������� � ������ Young Talent Team � �������� ������� ����� �� ��������, �� �� ��������� ������� � �����������, �������� �� ������ ������ �����. ��� ������������ ������ ��� ������ � ��������. - ���� �������� ���� ������� ��� ������� � ������ � 2 �������, ������ �� ��� ��� ������ ������, Mogu, ��� ���������� ��� ������. - ���������� ���������� ������������ ������ ���� ���� ������������������, ��������� �� ����� ��������� ������������� �� ���������� � ����������� ���������, ���������� � 1991 ����. - 4 ����������� ���������� ������ - ���� ������, ����� �������, ������ �������� � �������� �������� ������� ��������� ������� �� �������� �������. ������� ��������� ����������� �� ����� ����������� �� ������ ���, ��������� � 2003 ���� �� �������� �� ����� � ��������� ����. - ������������ ����������� ����� Junior Songfestival �������� ��������� � 1 197 000 �������� - ��� ������� �������� ��� ������ ��� � 2003-2005 ���� �� ������ Nederland 2. ���� � �������� ��������, ����� � ����� ������ ��� ��������� �� ����. - �� ������� � ������� ������ ���� ������ 1600 ������, 1400 - � ������, ����� 1000 ��������� � � ���������. � ������� �� ����� ������� ����������������� ����� RTBF. - �������� ����� ��� ������� � ������ � ��� ���������� ���������� ����, � ��� ��������� ���� ���������� �� ����� ��������� ���� ���������� ����������. - ��������, ������, ����, ������� � ������� ��������� ����������. ���� �������� �������� ����� ������� �����, ��������, ������, �������, ���������, �������, �������� � ������. - �� ������������� ������� ������� ����� ��������� ���������� �������� � ����������� - 1 149 000 (16.2%). �� ������ ����� �������� �������� �������� ������� 5.912 ��� (������� ����������� ��������� ���������� ����� ����-���������, 39.1% ����), ������ 1.465 ��� � 1.9 ��� ������� �� ��� � ������ �� ���������� ITV1 (221 ��� - ������ ���� �� ITV2). ����� ��������� �������� ��������� 23 ��� ��������. - ������ �� ������� ����������� �� 30 � 42 ����. ����� 7000 �������� ��������� �� ��� �� ���� Hakons Hall. - ������������ �������� ���� ���� ������������ ����������� �������������, ������� ������������� ������������ ������� ��������, ����� � ���� ����� 11 ��� ��������. - ������� Limelights ������ ����, ������ ������ � ���� ��������� ����� �� ������������ ����� ����� ������� �������� � ��������� ��-�� ������� ���� � ������ ��������� �������� ��������� � �������� ����������� ��������� �� ������ ���������. - ����������� ��� ������ ���������� �������� ���� ������������ ������� ��������, � ������� ��������� 4 �������� � �������� �����. ������, �������� ��������, ������� � ��� ��������� ����� ������ - ���������� ��������. - ������ ������ ����������� �� ������ - ������ �������� �������� ����������� ����������� � �������� ������ 16 ���, ��� ���� 16 ��� � 12 ���� �� ������ �����������. - �������� ����� �� ������ KWADro �� ������ ������ �������� ������������ ���������� �������� ��������, ����������� �� ����� ��������� �����������. ��� ���� ���-����������� ������� ����������� �� ����������� 2010. - ������� ������ ���� � 2006 ���� ���� ������ ������������ �������� �����������, ��������� ������� � ������������ ������ �� �������� �������, ��� ����� 2� �����. �� ����� ��� ������������ ���������� ��������, ������������ � ������� �� ������� � ����� ������ ���� ������. - FEEL FREE TO SAY NO, ����������� �������� �� �������������� ������� ����� ������������������, ���� ����������� ��������� �������� ����������� 2004. - � ���� �������� ���� �������� (��������������) � ����� ������� (�������) ���� ���������� � ��������� � ������������� � 11/4. ����� ��� ������� ����������� (���������) � ���� ������ ��� (�������) - 11/2. ������ �� ������� �������������� ����� ������� ������� �� ���������� � 11�� ����� �� 1��. �� ������ �� ��� �������� ���� �������, ��������� � ������. - 14 ����� ������������ ���������� ��������, ���� ������������� 3000� ����� ������, 1200 ������ ������ ��� �����, 50 ����������, 450 ����� ��������� �����, 3000� ��������� ������, 250 ��������� �������������� ��������� �� Haakons Hall. - 250 ������� �������� ��� ������������� ��������, 150 �� ��� �� ������� ������������-������������ NRK, � ����� 10 �������������� ���. - ���������� ����������� 2003 ���� ��� ����������� ������ ��� � ������ ���� ����������. - �������� ������� Los Lunnis ���� �������� � ���� ���������� ��������. ��� ���� ������ � ���� ������������ �������, ��� � ���� ���� ���� ������������� �����. �� ����� ������� ������������� �������� � ���� ���. ����� � ��� � 2005, ���� � 2003 ����� ��������� � ���� ��������� ����� �����, � ����� �������� �������� �� ������. - ��������� �������� ������ � ��������������� ����� Radisson SAS, �� �������� ��� ������ ������� ���������. ������ ����������� ��� ��������� �� ����� ���������������� �����������, ��������� �� ��� ��������� ���� �����. - �� ����� ���������� ��������� �������� ������� ���� ����������� Hunderfossen � ������ ������� � ����������� ����, ��� �������� �� ������ ��� �������. - ���������������� ���-����������� ��������� ��� ���������������, ������������� � ����������� ��������� Digame.de, �������������� � Deutsche Telecom ������� ���� ��������� �� ������� �����������. - � �����, ����������������� ������ �������� ����� �������� ������� ��������� �� ������ �� ���������� �����: "���� ������� �� ������ ������� ����������� � ������������ ���� ������������ ���� �����, ������������ ������! ... �������� �� ������� �����, �� �������� ����� ������������ ... ��������� ������ ������� � ��������� ���������� �� ��������. ������ �����, ����� �� ���� �����...". - ������� ������ � �������� 9 ���, 10 ������� � 16 ����, ����� ������� ����� � ��������� ����� ������� ��������������� �������� ��������. - ���-����������� ����� ������� ���� ������ ��������� Eurojunior - ������� (10, ��������-���� �������), �������� (11, ������-�����), ���� (11, ������ �� ����-��������) � ����� (12, ����� �� �� ��������-�����). �� ����� ���� �������������� ��� � �������� �������, ����� �������� ��������� ����. - ����� ������� ����� ����� �������� �� ����������� ���. �� ���������� ����� ��� ������� Vale Music � ���������� � ���� ����������� �����, ������� ������� (6 ����� � �����), ��������� (8�), ������� (36�), ����������, �����������, ������, ��������. �������� ������ No me toques las palmas que me conozco ��������� ������� � 400 000 ����� (4��� ����������) � ����������� ������ � ��� � ��������� �������. �� ������ ������ ����� ��������� ������������ ����� � ���� ������ ����������. �� ������� ��������� 5 ��������. - ������� �� �������, ��������, ������, �������, ����� (���), �������, �������� � ��������� ��������� ��� ������� ���� ������, ������, ����� �� ��� �������� �� ����. ����� ������ ������ ������, ��� ���������� ������������ ������� � ������ ���� �������� �����������, ��������� ���������� ����� ������, ����� ��� iTunes. ESCKAZ JESC 2003 page is located here, you can watch video of the show here. Flashback - participants of 2003 event after five years - here. So, did you know that? - JESC was first titled the Eurovision Song Contest for Children as organizers felt the word kids was demeaning to a 15 year old, while junior was a bit old fashioned. In Denmark contest was though simply labelled as "European Junior MGP". - Copenhagen was selected as first host city as it had experience hosting Danish MGP (running since 2000) and MGP Nordic 2002 shows. The hosting country became known on 27th of November 2012 and exact venue and time of the contest - on 21st of December. - The interest to participate in the first JESC was very big and EBU had to organize a draw to decide which countries would be allowed in the inaugural show. - The 15 countries chosen by draw were: Belgium (VRT/RTBF), Croatia, Denmark, Germany (ARD/NDR), Greece, Latvia, FYR Macedonia, Malta, the Netherlands (NPB/AVRO), Norway, Romania, Slovakia (STV), Spain, Sweden (SVT), and the United Kingdom (UKIB/ITV). The list has been announced on November 27th. All countries from the list that eventually took part have signed 3 year agreement for the participation in the project. - Poland was later added as 16th country. After withdrawal of Germany it's spot went to Belarus, for which it was the debut in Eurovision competitions and which had to choose the entry internally very close to the deadline. Slovakia then also withdrew from the event, Ireland and Israel were invited next, but declined participation, so the final spot went to Cyprus, which also selected internally from submitted entries. The final list was announced on May 11th. - On withdrawal, representatives of German ARD called the show "risking to become unprofessional and outdated" stating that they couldn't agree with two rules: performing in the national language and artists not having professional contract before. - Flemish television producer Jeroen Depraetere was chosen as JESC Project Manager while Sarah Yuen was at that moment Manager of Live Events of the EBU (Svante Stockselius was appointed to his post in June 2003 but this year was not involved in JESC). - Danish entrant Anne with Arabien Droem was the first entrant chosen for JESC. - Greek Nikolas Ganopoulos will remain in contest history not only as first but also as youngest participant of the contest, he was 8 years and 5 months old when performed. - In Macedonia separate preselection for the entries and singers took place and they were matched after that. In Spain singers were selected in training camp and then had to write down two songs each. - 17 entries in total have been received for participation in Romanian preselection, from which 9 were disqualified. In Sweden around 1300 entries were submitted. - This year EBU recommended to include children in preselection juries. - Participants from Cyprus, Latvia, Macedonia, Romania and Belarus have presented music videos for their entries. - Participants from Cyprus and Denmark have performed as guests at Greek preselection final - this is the only such case in the history of the contest. - Norway, Denmark, Sweden, Spain, The Netherlands, Belgium, Croatia, Greece have released national final compilations. - About 6000 tickets for the show and dress rehearsal went on public sale on 3rd of June via e-billetter.dk priced 300-425 kr (40-57 euro) for the show and 200-325 kr. for dress-rehearsal. About 8000 of viewers could watch the show at Forum. - Ronan Keating was first invited as host of the show, while Robbie Williams, Justin Timberlake and Britney Spears have all been invited to perform during it. - In the end Danish Camilla Ottesen and rapper Remee were chosen as hosts of the show (announced on 6th of October) while bands Busted (without Charlie Simpson who rejected idea performing at JESC) with Crushed The Wedding and Sugababes with Hole in the Head performed as interval acts. Britney Spears, Pink, REM, Atomic Kitten, Avril Lavigne, Lene Nystrom, Holly Valance have however sent video messages to wish all contestants good luck. At the dress rehearsal have performed bands C21, Zididada and Razz. - The trophy - a 3D version of the logo in silver - has been created by industrial designer Tobias Wandrup. - The stage designed by Amalie Bo was aimed to show "fantasy world, maybe vaguely reminding a Scandinavian landscape". - According to the preliminary data - Copenhagen should have received profit of around 500 thousand euros from tourism (compared to 16 mlns at adult ESC 2001). Around 140 press-members (mostly from Belgium) were accredited. Only Denmark and Belgium brought full press-packs including CD single. - Welcome Party took place in Frederiksberg (a suburb of Copenhagen) City Hall with Razz, Shout, the B-Boys etc. During JESC week participants visited amusement park The Tivoli and swimming pool DGI City, taking part in Robinson Adventure, where they were joined by Razz, winners of MGP Nordic 2002. Scandinavian party was held. - In Flemish-speaking Belgium 1.334.500 people watched the show - a market share of 52.6%, 1.384.000 followed it in host country Denmark - 62.7%, 47.3% watched in Norway, 44.9% in Spain, 1.066 mln viewers have watched it in the Netherlands (15.2%). 38.5% followed show in Sweden, 25% in Poland and 24.6% in Greece. Preliminary expectations were of 100 mlns of viewers worldwide. - The show was also broadcasted live in Finland (YLE), Kosovo (RTK), Serbia and Montenegro (RTS/RTCG), Estonia (ETV) and Germany (KIKA). Australia (SBS) also had a deferred airing. Also interest to the contest has been shown in China, which also has been discussing possible broadcast, and EBU even was mentioning possibility of world-wide version of the show. Negotiations to broadcast the show also took place in Japan, New Zealand, Israel, Ireland, France and Canada. - It was the first Eurovision to be broadcast in the 16:9 widescreen format. It was also the first Eurovision Song Contest where a DVD of the contest was released. - It was the only year when there was a theme song used and it was included onto the official CD. The theme song was produced by Remee and performed by Sophie. Interestingly, this tune has been used in JESC broadcasts of Belarus BTRC up to 2010! - It was also the first time that the EBU invested in the creation of an independent official website. 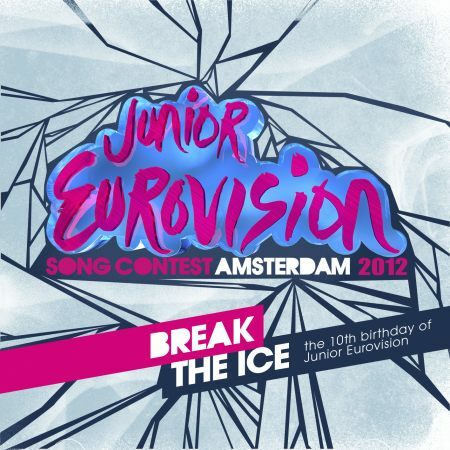 junioreurovision.tv website recorded over 2 million page views during the Song Contest weekend and over 500,000 page views per day in the week prior to the contest. - Permanent Romanian JESC commentator Ioana Isopescu was almost 9 month pregnant while commenting on the show and gave birth immediately after it. 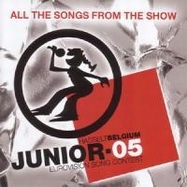 Since then, her baby became the "Junior Eurovision baby" for the whole TVR team. - Future JESC entrant Chloe Boleti was among the spokespersons of the show. - According to the rules, in performances took part songwriters of the entries of Belarus (Ekaterina Lipovskaya) and Macedonia (Irena Galabovska). There is contradicting information on the date of birth of Katya Lipovskaya, according to official biography she was born on October 2, 1987 (and thus was 16 years, 1 month and 13 days old), however according to the Belarus delegation she was born on December 2, 1987 and was just below 16. - As feared by many, Poland's Katarzyna 'Kasia' Zurawik and Swedish the Honeypies cracked down in the Green Room due to their last and second to last placings respectively, giving the other children a sense of guilt and bad conscience. The Honeypies revived for the after-party, but Polish Kasia was very unhappy and sad. Kasia was asked to do a special interview on the official website in which she stated: "My participation in the JESC gave me a lot of satisfaction. Sometimes I felt like a little star. Despite my result, I feel very happy and will remember this time forever". - English version of Dino's album "Nr. 1" was signed for release by Dallas Records under the EMI label licence in Denmark, Lithuania, Latvia and Estonia. 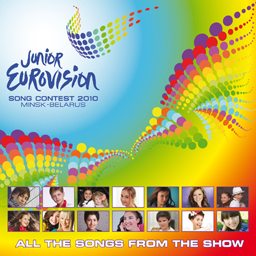 It has been the only case of JESC winning artist releasing international English language album. - Entrants from Croatia, Denmark, Belgium, Norway (Charlot), Latvia, Spain (3+2) have released at least 1 album. Currently most activ artists is probably Anne from Denmark, while Dino has gone to heavy metal style. - At this moment Dino is the only JESC winner who had performed on the stage alone. - Watch some behind the scenes footage from the event here. �������� �������� ����������� 2003 �� ESCKAZ ����������� �����, ����� ��� �� ������ ������� �����. Flashback - ��������� �������� 2003 5 ��� ������ - �����. ����, ����� �� ��, ���? - JESC ������������� ��� ������ ESC for Children, ��������� ������������ ��������� ��� ����� kids �� �������� ��� 15-������ ����������, � ����� junior ���������� ����������. � �����, ������, ������� ��������� ������ "����������� Junior MGP"
- ���������� ��� ������ ������ ���������� ��������, ��������� � ���� ��� ���� ����������� �������� MGP (�������������� � 2000 ����) � MGP Nordic � 2002. ������ ���������� ����� �������� 27 ������ 2012, � ������ ����� � ����� ���������� �������� - 21 �������. - 15 ��������, ������� ������� ��� ������ �����: ������� (VRT/RTBF), ��������, �����, �������� (ARD/NDR), ������, ������, ���������, ������, ���������� (NPB/AVRO), ��������, �������, �������� (STV), �������, ������ (SVT) � �������������� (UKIB/ITV). �� ������ ��� �������� 27 ������. ��� �� ������ �� ����� ������, ������� � ����� ������� �������, ����������� 3� �������� �������� �� ������� � ��������. - ������ ���� ������� ��������� 16� �������. �� ����� ��������� �������� �������� ��������, ��� ������� ��� ��������� ������� � ��������� ����������� � ������� �������� ������� ����� ���������� ������� ��������� �� �������� �����. ����� ������ �������� ����� ���� ���������� �������� � �������, ������� ���������� �� ������� � � ����� ��������� ����� ���� ������ �����, ������� ����� ������� ������ ������������� ���������� ������� �� �������� ������. ������������� ������ ��� �������� 11 ���. - ������������� ������ ARD ��������� �������� ������� ��� "��������� ����� ������������������ � ����������", ������, ��� �� ����� ����������� � ����� ��� ��������� - ����������� �� ������������ �����, � ���������� ���������������� ���������� � ��������. - �������� ������������ �� ������ ���������� ��� ������ ������������� ������� ��������, � ���� ��� � �� ����� ���� ���������� ������������� �������� ������� ����� �� ��� (������ ���������� ������� � ���� ��������� � ���� 2003, �� � ���� ���� �� ��������� ������� ���������). - ������� ����� Anne - Arabien Droem ����� ������ ������ ��������� ��� ������� � ��������. - ������� ��������� ��������� � ������� �� ������ ��� ������, �� � ��� ����� ���� �������� ��������, �� ������ ����������� ��� ���� 8 ��� � 5 �������. - � ��������� ������ ��������� ����� ����� � ������������. � ������� ����������� ���� ������� �� ������������� ������, � ����� ������ ���� �������� �� ��� ����� ������. - ����� 17 ������ ��������� �� ������� � ��������� ������, 9 �� ������� ���� ������������������. � ������ �� ����� ���� ������ ����� 1300 ������. - � ���� ���� ��� ������������� �������� � ������ ����������� ���� �����. - ��������� �� �����, ������, ���������, ������� � �������� ����������� ���������� �� ���������� �����. - ������������� ����� � ����� ��������� � �������� ������ �� ��������� ������ - ��� ������������ �������� ������ � ������� ��������. - � ��������, �����, ������, �������, �����������, �������, �������� � ������ ���� �������� �������� ������������ �������. - ����� 6000 ������� �� ��� � ��������� ��������� � �������� ������� 3�� ���� ����� ���� e-billetter.dk �� ���� 300-425 �� (40-57 ����) �� ��� � 200-325 �� �� ���������. ����� 8000 �������� ����� ��������� �� ��� �� Forum. - ����� ������ ��� ��������� ����� ������� ���, � ����� �������, ������� ���������� � ������ ����� ��������� � ��� ���������. - � ����� �������� ����� ������� ������� ������� � ������ ���� (��������� 6�� �������), � ������ Busted (��� ����� ��������, ������� ��������� �� ������� � ������� �����������) � Crushed The Wedding � Sugababes � Hole in the Head ��������� � ���������. ������ �����, ����, REM, Atomic Kitten, ����� ������, ���� �������, ����� ������, ������, �������� ���������� ����� ��������� �����. �� ����������� ��������� ��������� ������ C21, Zididada � Razz. - ���� - 3D ������ �������� �������� - ��� ���������� ���������� �������� ���������. ��� ���������� ���� ����������� ����������� ���������. - ������ �����, ������� �������� ����� ����� �� ��� ������� �������� "�������������� ���, �������� ��������� ����������� ������������� ��������". - �� ��������������� ������, ���������� ������ ��� �������� ����� � ����� 500 ��� ���� �� ������� (�������� ����������� 2001 �������� 16 ���). �� �������� ���� ������������� ����� 140 �������������� ������ (������� ������ �� �������). ������ ������� � ����� ����������� ������ �����-������, ������� CD �����. - ��������� �������� ������ � ������ ����� �������������� (��������� �����������) ��� ������� Razz, Shout, B-Boys � ��. �� ����� ���������� ��������� �������� �������� ���� ����������� The Tivoli � ������������ ������� DGI City, ������������ � Robinson Adventure, ��� � ��� �������������� Razz, ���������� MGP Nordic 2002. ������ ������������� ���������. - �� �������� �� ��������� ������� 1 334 500 �������� - ���� � 52.6%, 1 384 000 ������� �� ��� � ������-������������ ����� - 62.7%, 47.3% �������� ��� � ��������, 44.9 � �������, 1.066 ��� �������� ��������� �� ��� � ����������� (15.2%). 38.5% ������� �� ��� � ������, 25% � ������ � 24.6% � ������. �� ��������������� ������� ���������, ��� � ��� ����� 100 ��� ��������. - ��� ����� ��������������� � ������ ����� � ���������, ������ (RTK), ������ � ����������, ������� � �������� (KIKA). � ��������� (SBS) ������� ��� ������� � ������. ����� ������� � ��� ������� � �����, ������� ����� ��� ���������� � ����������, � ��� ���� ������������ � ������ ��������� ������ ���. ���������� � ���������� ������ � � ������, ����� ��������, �������, ��������, ������� � ������. - ��� ���� ������ ����������� ���������� � �������������� ������� 16:9. ��� ����� ���� ������ �����������, ��� ��� ������� ����������� DVD ���� ��������. - ��� ��� ������������ ���, ����� ���� �������� ������������ ����� � ��� ����� �� ����������� ����. �� ������������� ����, � ��������� ����. ���������, ��� ����������� ���� ���������� ��� ������� � ����� ������ � ������� ����������� ������ �� 2010 ����! - ������� ��� ������������ � �������� ������������ ������������ �����. junioreurovision.tv ������ ����� 2 ��������� ����������� �� ������ �������� � ����� 500 000 ����������� � ���� �� ������ ����� ���������. - ���������� ��������� ����������� �������� ����� �������� ���� �� 9� ������ ������������ �� ����� ������ ��� ��� � ������ ������� ����� ����� ��� ���������. � ���� ������� �� ������� ���� "������� �������� �����������" ��� ���� ������� ���. - ������� ������������ ���� ������ ���� ����� ��������� �� ���. - �������� �������� �� ����� ��������� ������ ����� �������� (��������� ���������) � ��������� (����� ����������). � ����� �������� ���� ���������� ��������� ����������� - �� ����������� ����� ������� 2 ������� 1987 ���� (� ����� �� ������ �������� �� ���� 16 ���, 1 ����� � 13 ����), �� �� ���������� ��������� �������� - 2 ������� 1987 ����, � ��� ������ 16 ���. - ��� � ������� ������, ������ ���� ������� � �������� Honeypies ����������� � ��������, ����� ��������� ����� �� ��������, ��� ������� � ����, ��� ��������� ����-��������� ����� ����������� ���� ����. Honeypies ������ � ��������� ��������, �� ���� ��� ��� ���� ����� �������� � �����������. ������� �� ��������� ���� �������� ������������ ����� ��������, � ������� ��� �������: "��� ������� � ������� ����������� �������� ��� ������� ��������������. ������, � ����������� ���� ��������� �������. � �������� �� ���������, � ����� ��������� � ������� ��� ����� ��������". - ���������� ������ ������� ���� "Nr. 1" ���� ��������� ��� ������ ��������� Dallas Records �� �������� ������ EMI � �����, �����, ������ � �������. ��� ��� ������������ ������, ����� ���������� �������� �������� �������� ������������� ������������ ������. - ��������� �� ��������, �����, �������, �������� (������), ������ � ������� (3+2) ��������� ��� ������� 1 ������. �������� �������� � ��������� ����� ��������, ��������, ���� �� �����, � �� ����� ��� ���� ��������� � ����� ����-������. - �� ��������� ������ ���� - ������������ ���������� ��������, ������� �������� �� ����� � �����������. - ��������� ����� ��-�� ����� �������� ����� ���������� �����.